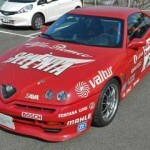 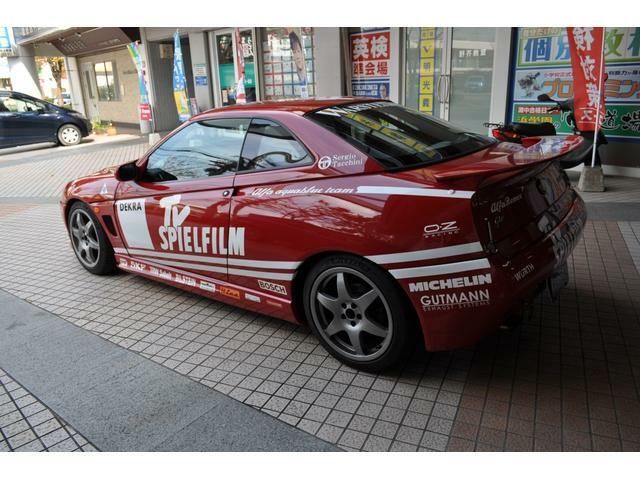 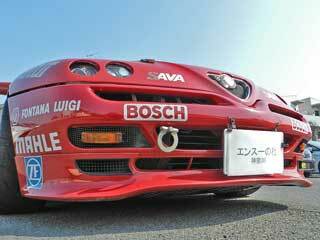 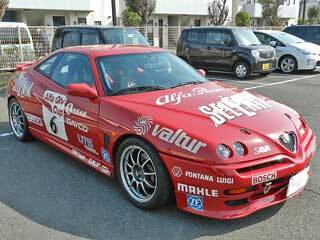 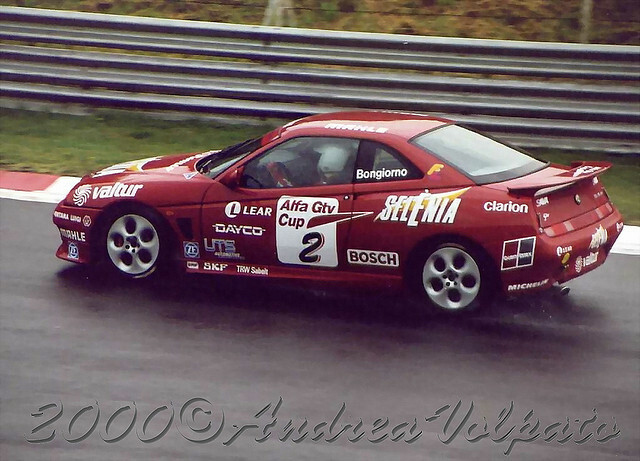 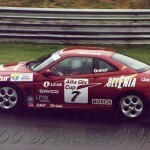 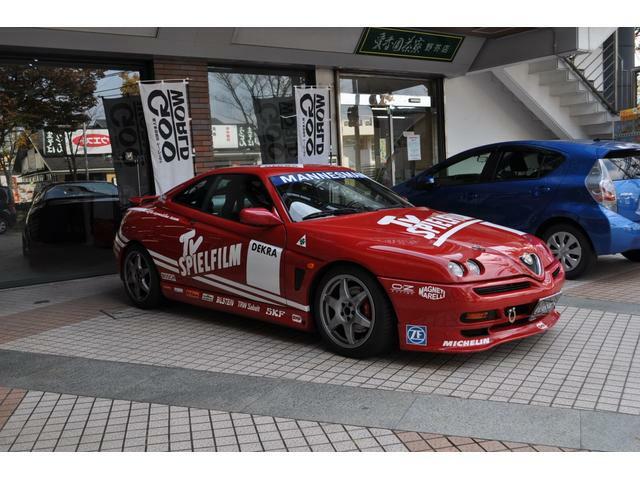 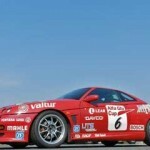 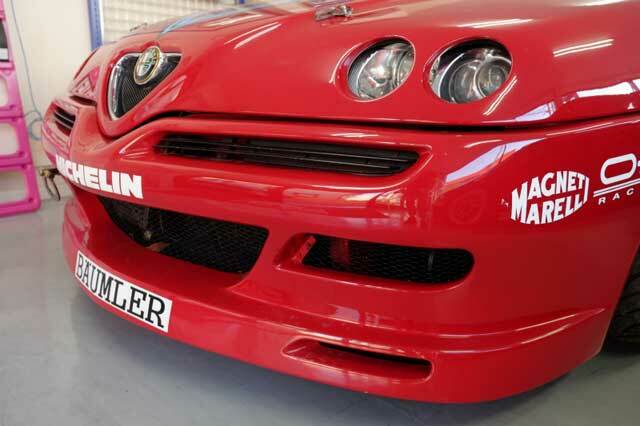 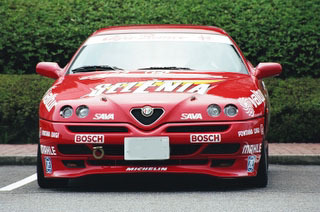 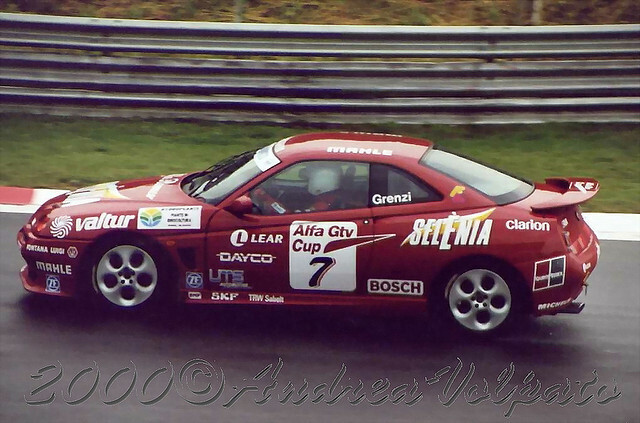 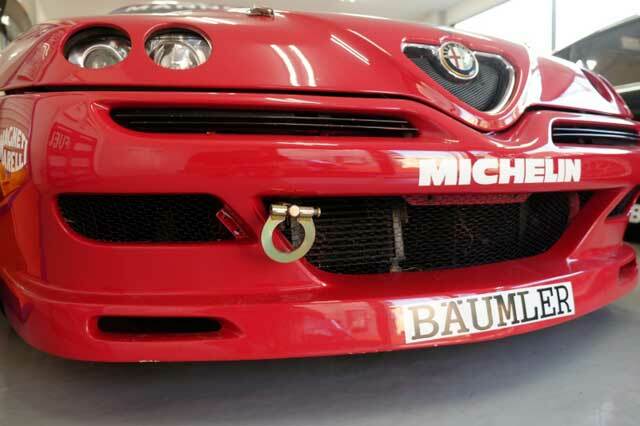 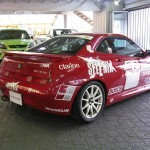 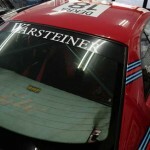 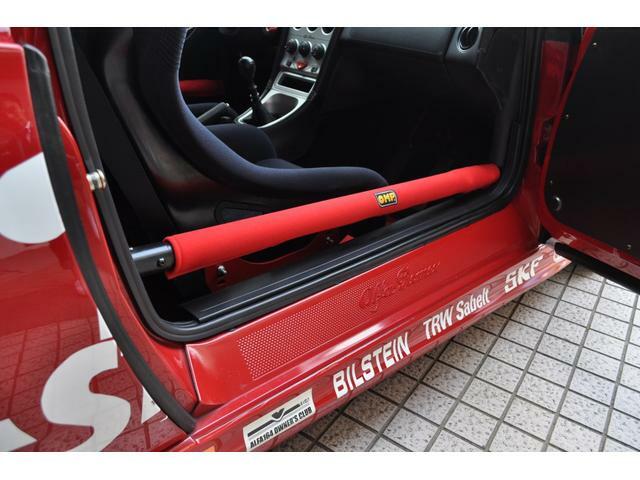 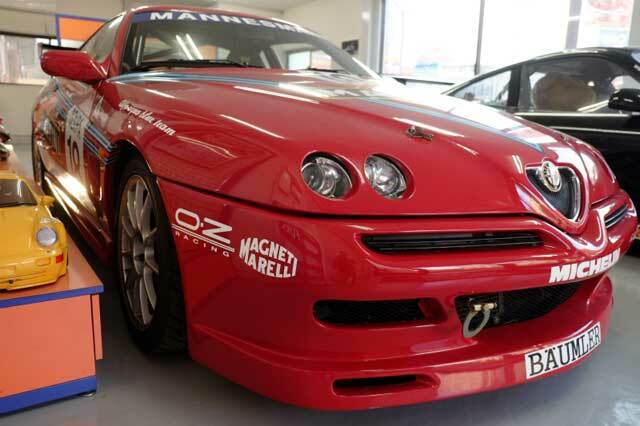 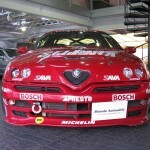 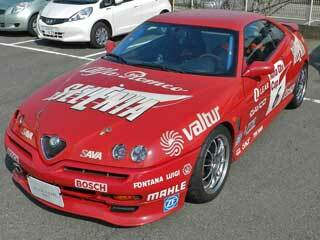 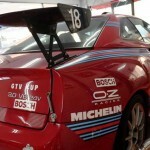 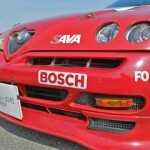 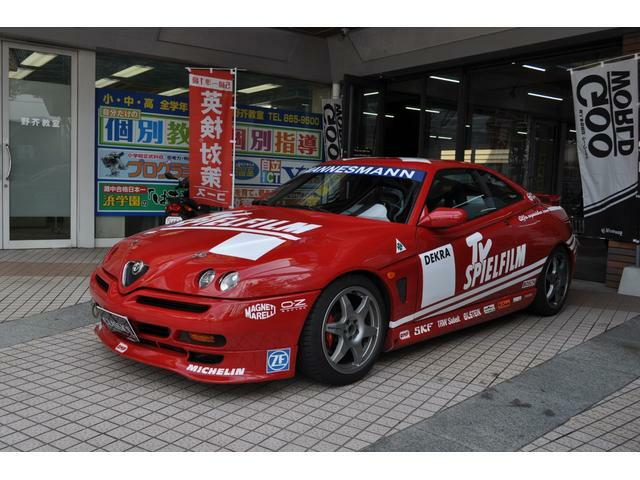 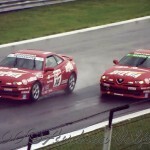 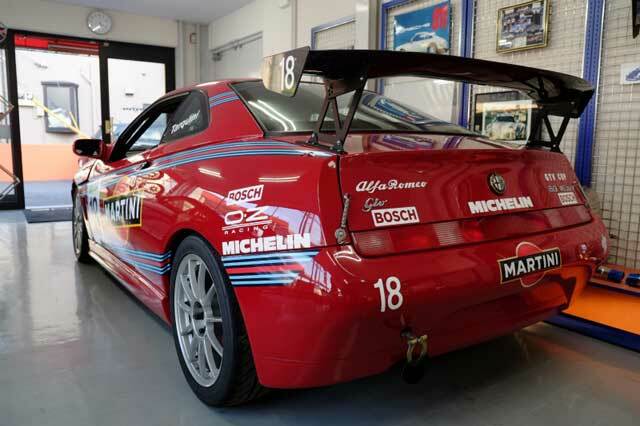 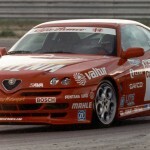 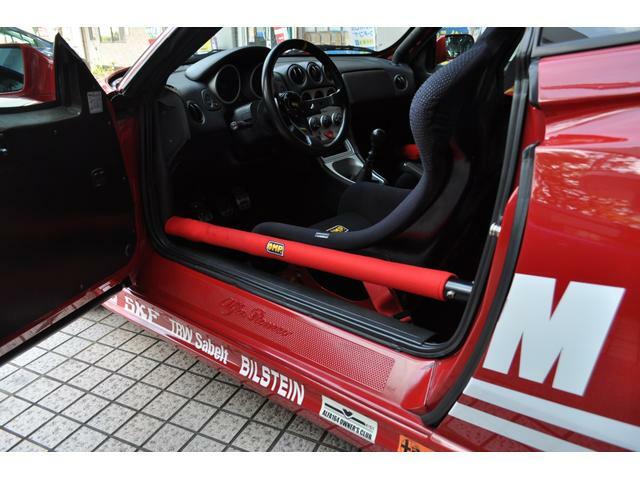 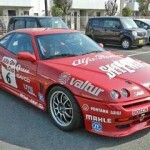 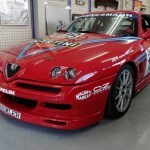 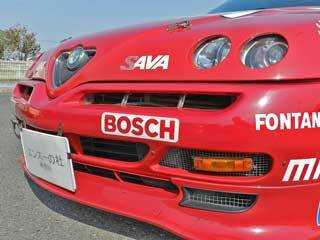 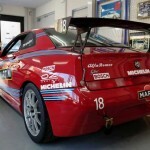 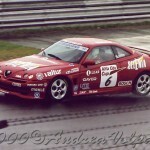 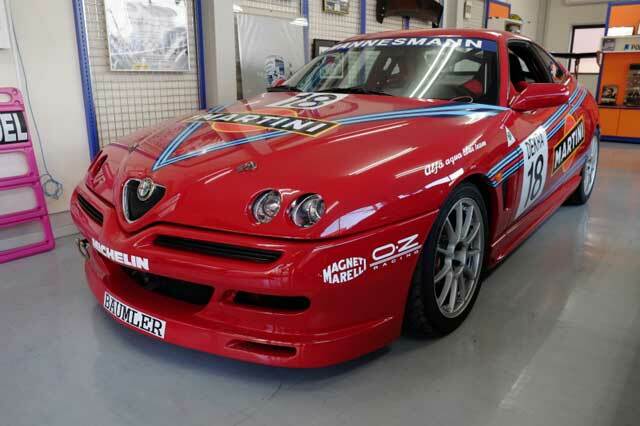 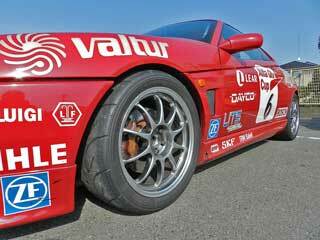 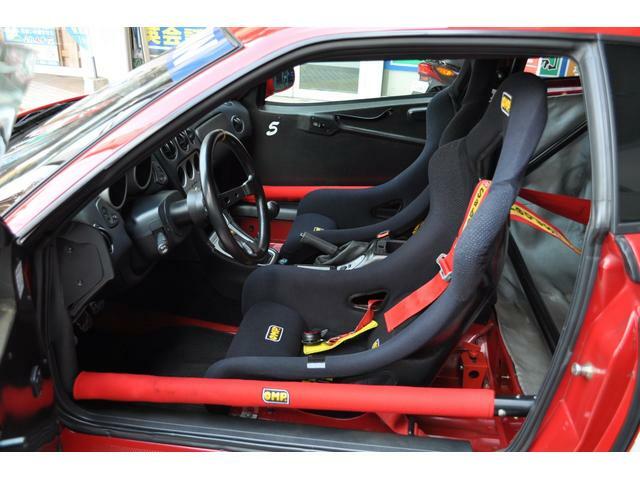 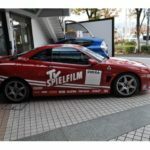 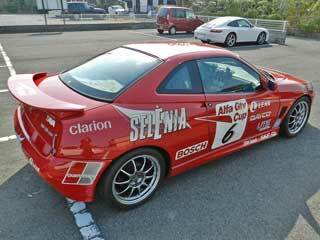 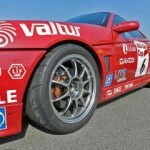 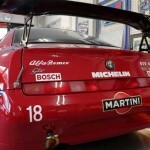 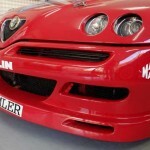 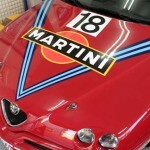 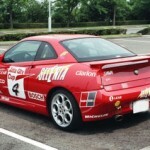 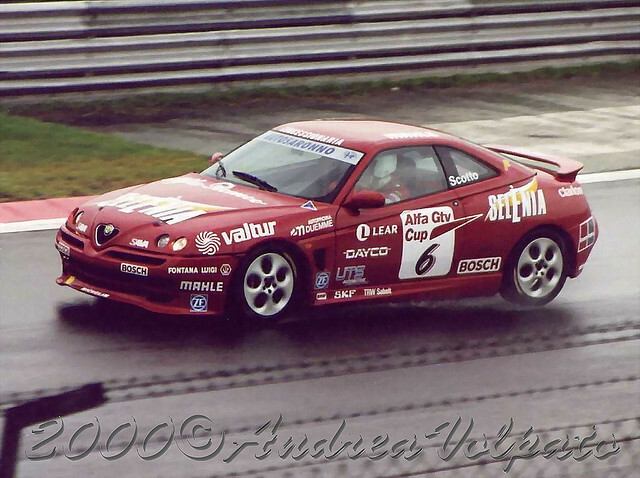 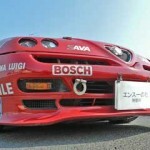 1999 Alfa GTV Cup race car for sale at enthuno-mori.com. 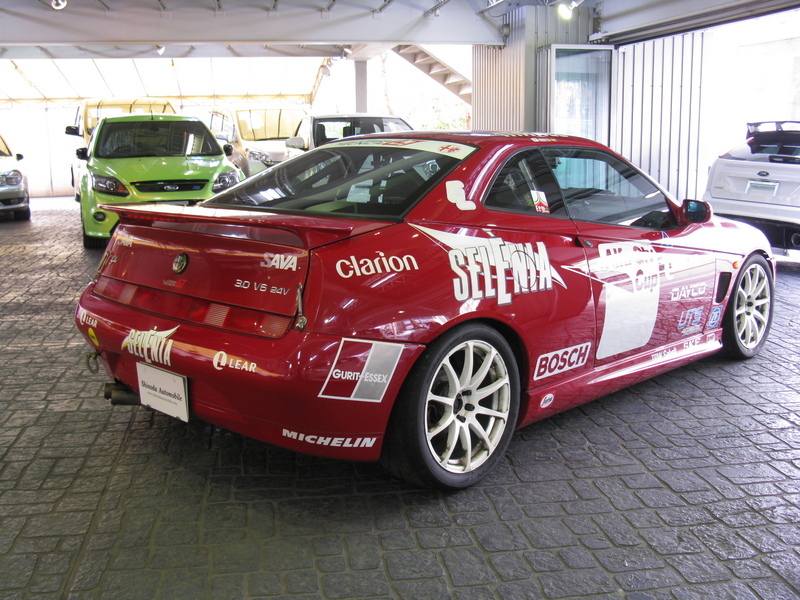 Original livery and aero-kit. 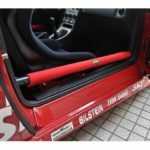 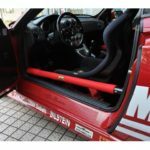 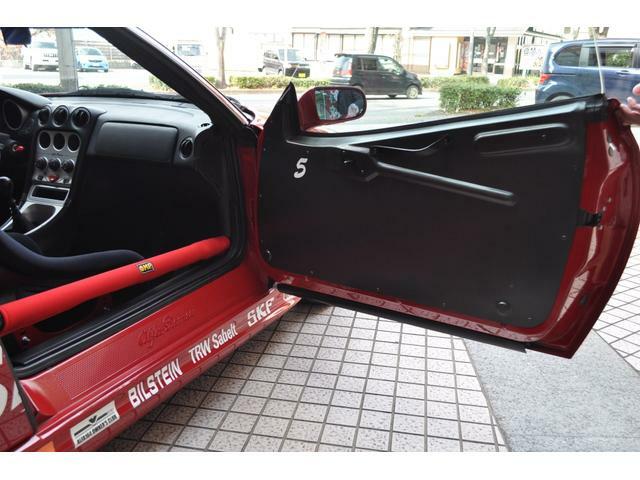 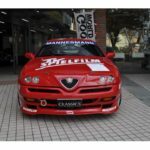 Alfa GTV Cup race car for sale at enthuno-mori.com. 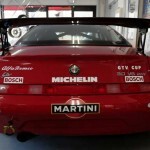 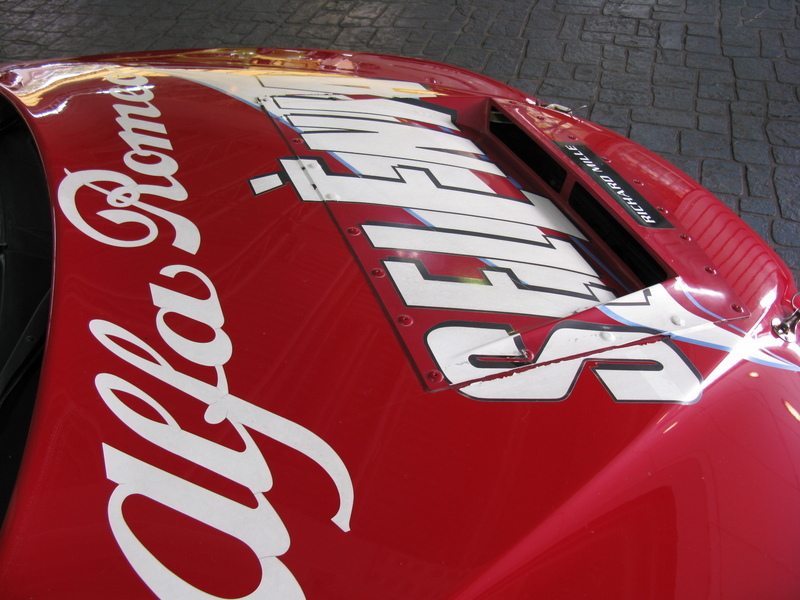 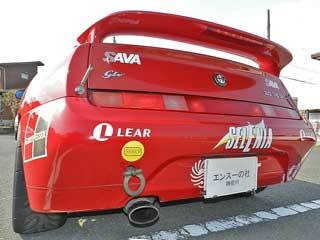 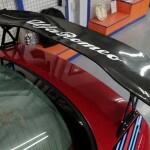 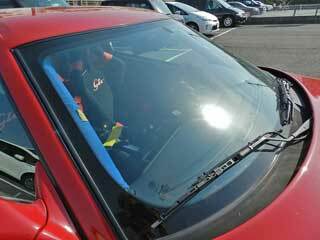 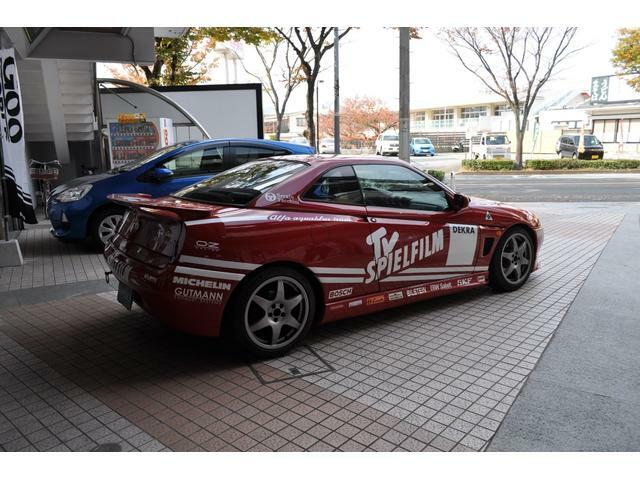 Modified front and rear spoilers. 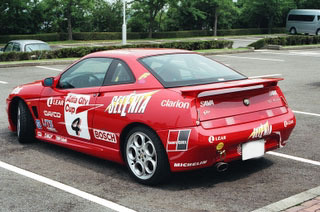 2002-first reg. 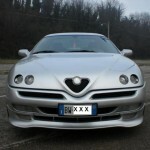 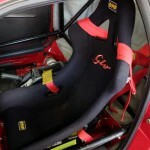 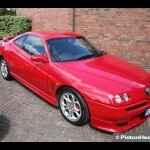 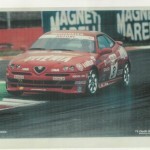 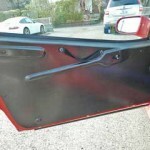 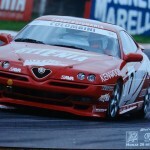 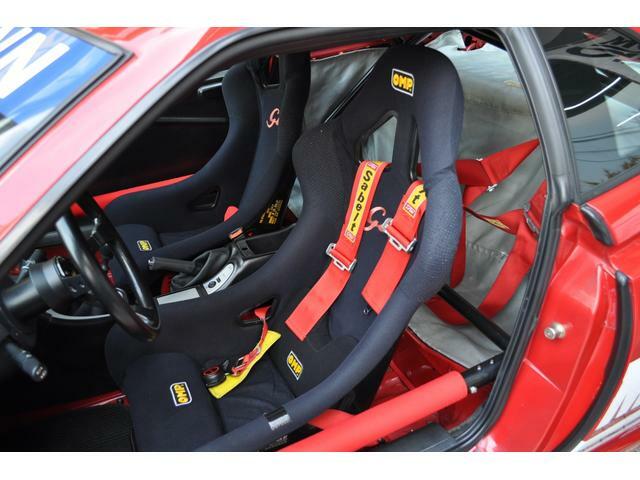 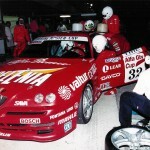 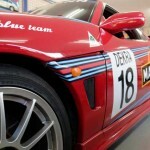 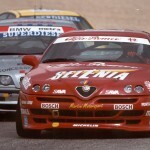 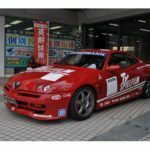 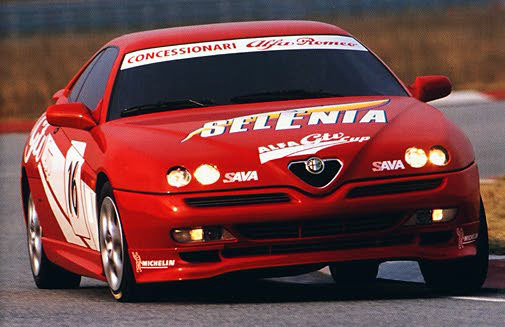 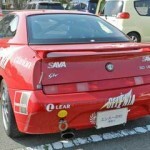 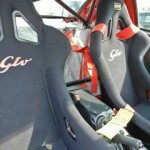 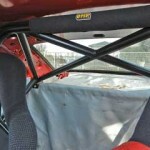 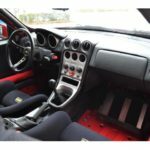 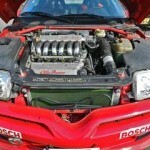 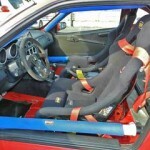 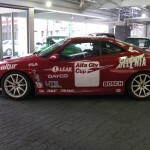 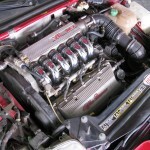 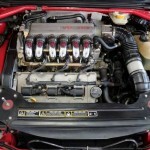 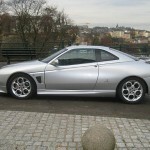 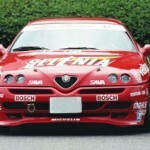 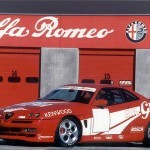 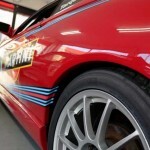 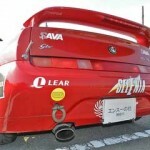 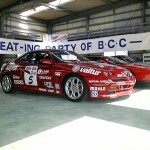 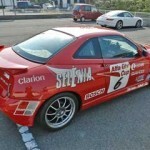 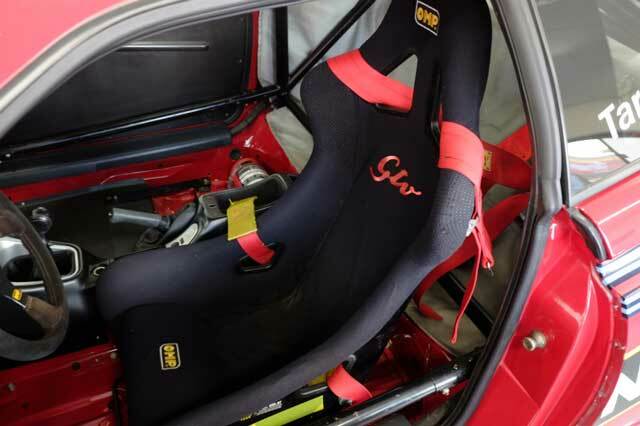 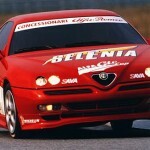 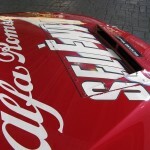 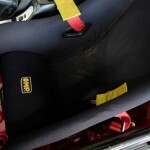 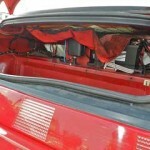 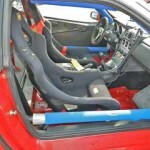 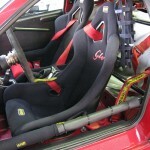 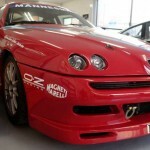 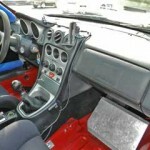 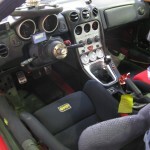 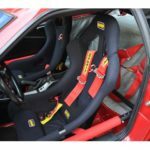 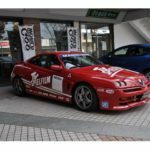 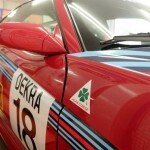 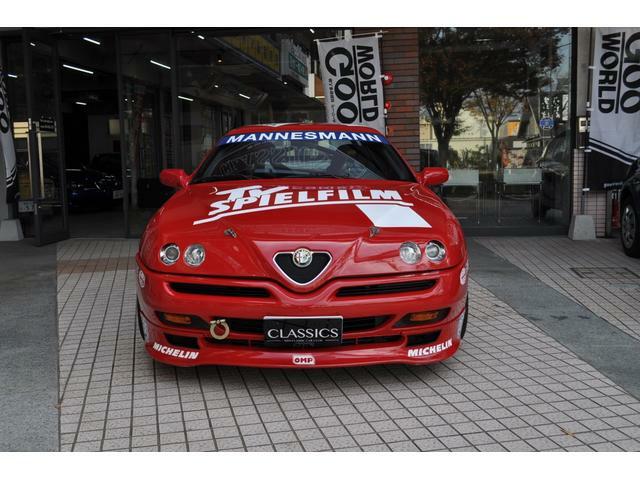 Alfa GTV Cup race car for sale at goo-net-exchange.com. 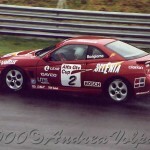 2001-first reg. 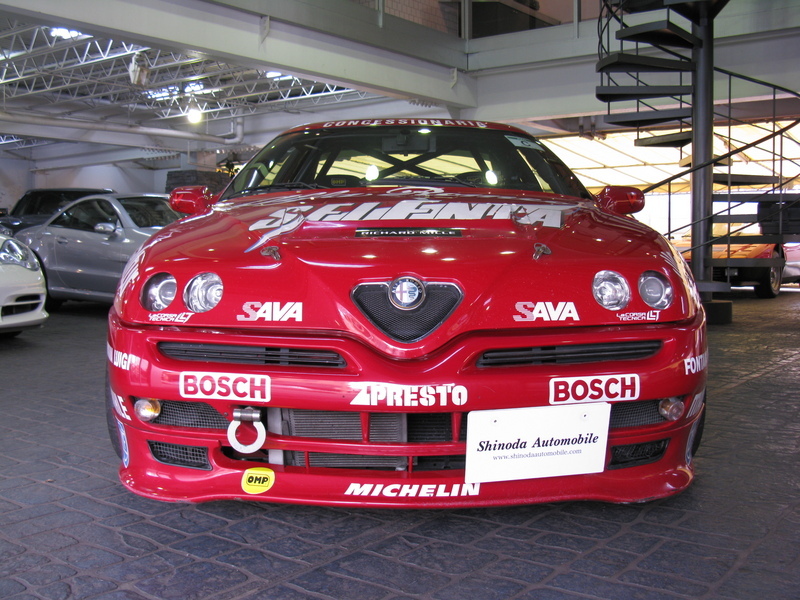 The Alfa Romeo offers the opportunity for a limited number of enthusiasts to participate in a race on the track with the GTV 3.0. 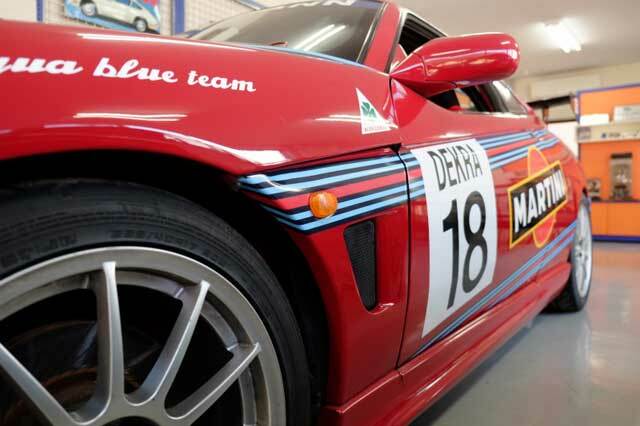 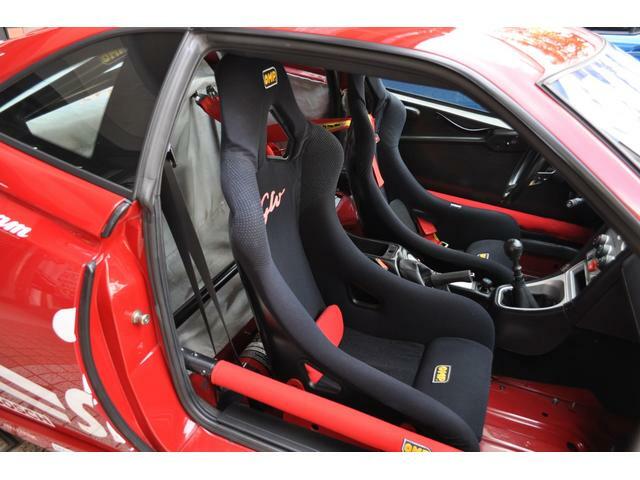 After a sports-car driving course by De Adamich you’ll be ready to manage 230 horse-power. 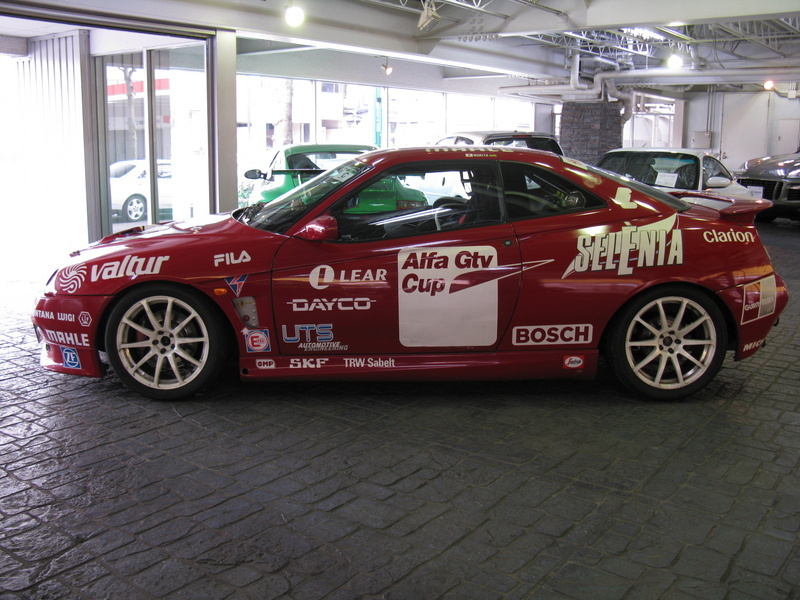 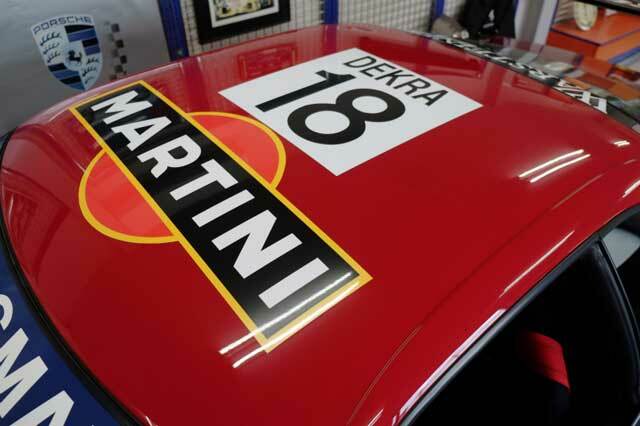 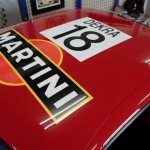 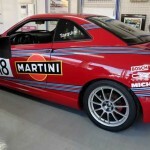 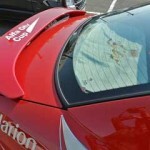 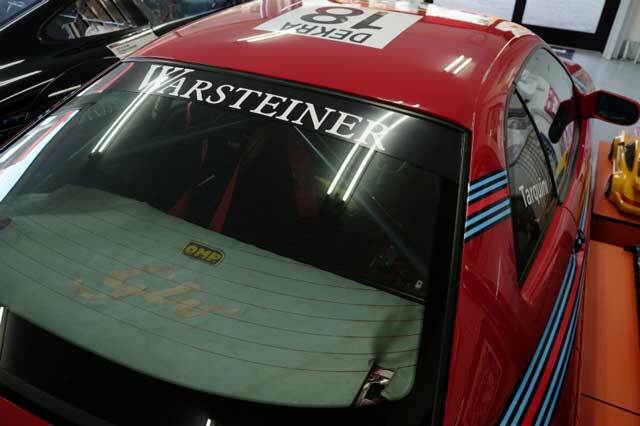 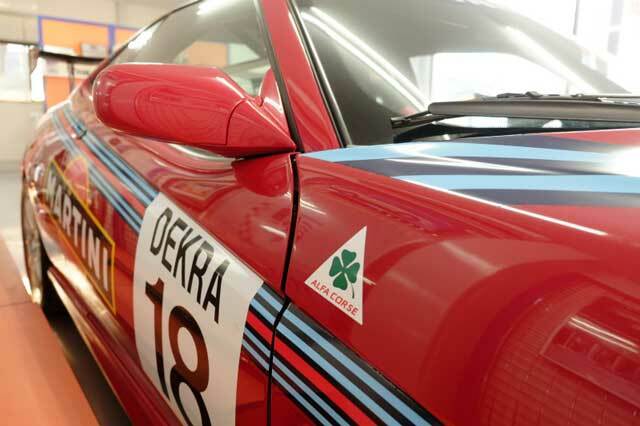 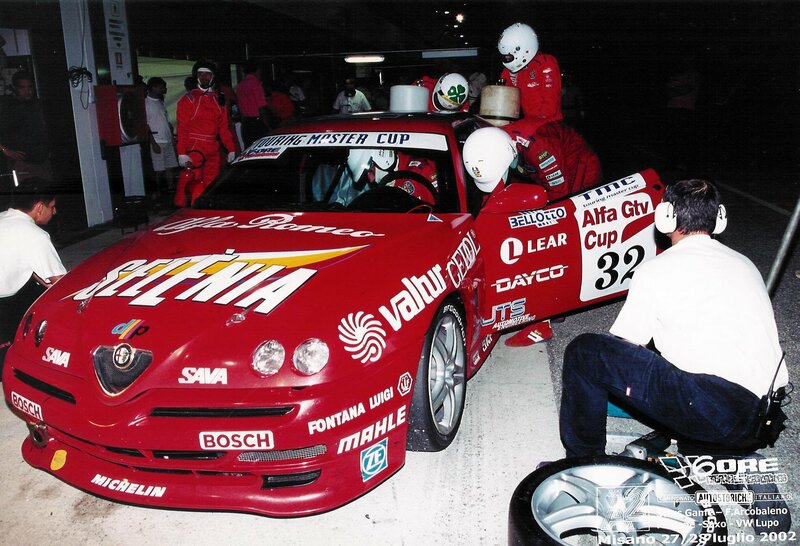 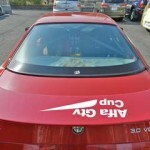 The sixteen vehicles available for the Alfa GTV Cup have all been prepared by Fiat Auto Racing in Chivasso, equal in performance and identical to the “official” Alfa Romeo colours. 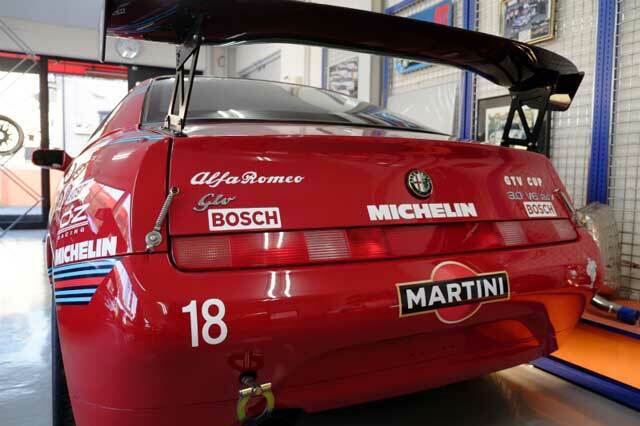 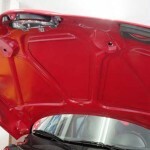 In respect to the models to be found in the show-rooms they also have aerodynamic appendix, both front and back. 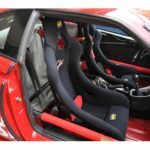 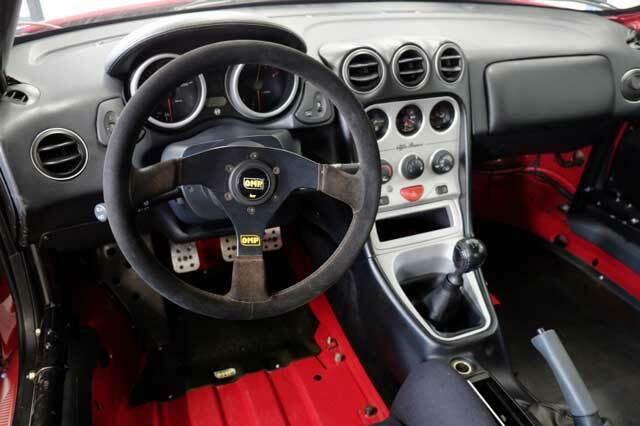 Many motor enthusiasts and capable owners of sports cars will have asked themselves, at least once in their lives, how they would fare in a real competition on a race-track. 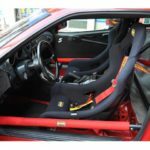 However, in order to answer that, just how difficult and how much would it cost: all the bureaucracy behind obtaining your first license, the purchasing of fire-proof clothing, research into the rented vehicle without falling into the classic pit-fall etc. 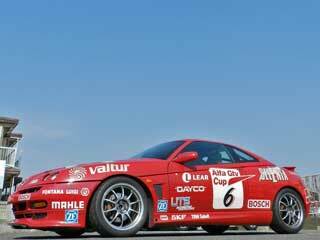 To get round all of that, the idea came up for an unedited mono-make trophy, based on individual trials to which you can only participate if you are a novice racing-driver and exclusively for this one race. 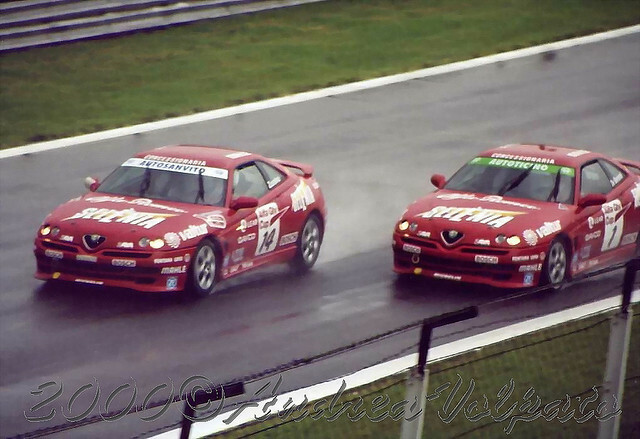 With the GTV Cup, Alfa Romeo has succeeded in really creating something new, a series of events which were missing from the sports-car scene; the missing link between enthusiasts and an adventure towards professionalism. 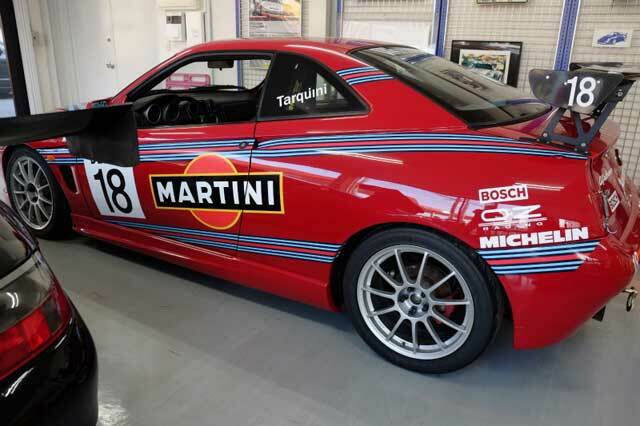 With little more than five million lire(approx £3,500 in 1999) and two weekends on the race-track, it is possible to go from being a simple spectator to being a performer in the world of racing. 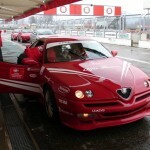 The transformation takes place in two distinct moments: first a couple of lessons in the Safe Driving Centre run by Andrea De Adamich at the Varano de’Melegari race-track (Parma) in order to learn the tricks of the trade and then on the track aboard a brand-new Alfa Romeo GTV 230 horse-power for the mono-make race as part of the Italian Supertourism Championship. 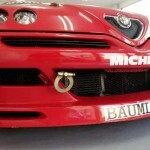 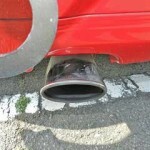 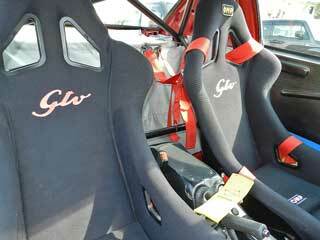 We have already tried out the new version Cup of the GTV 3.0 24 valves on the track at Varano. 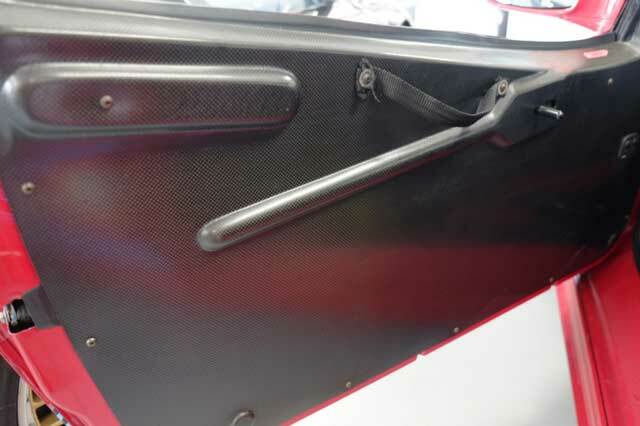 The car was prepared following the rules set up by Gruppo N (commercial vehicles with slight improvements), even though they are exclusively approved for mono-make races. 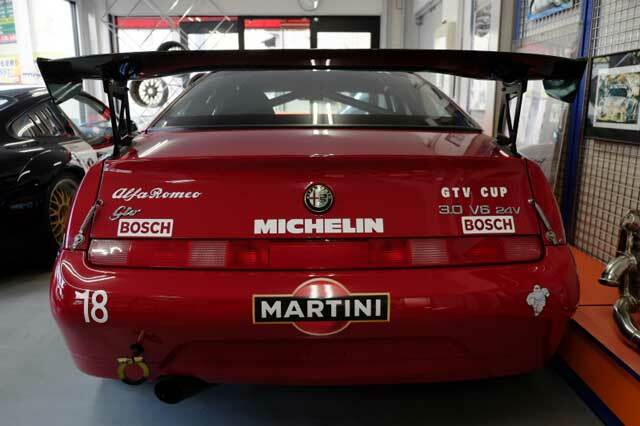 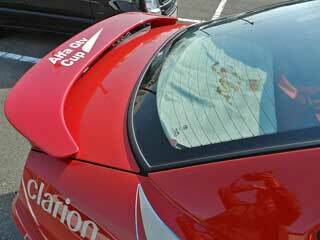 Externally the GTV 3.0 Cup is recognisable for the presence of the Alfa aerodynamic kit, also available for the commercial series: back and front spoilers and lateral air extractors in front of the doors. 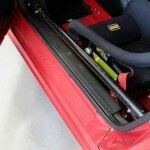 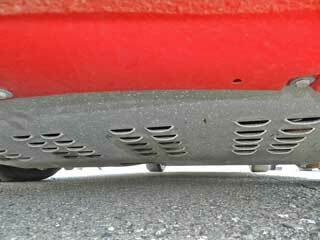 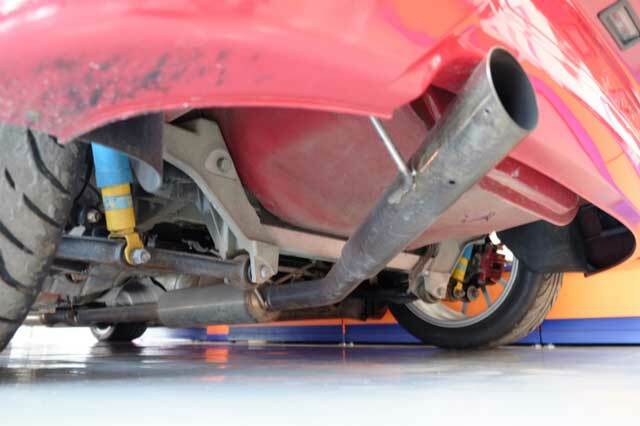 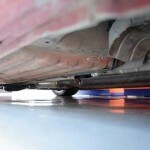 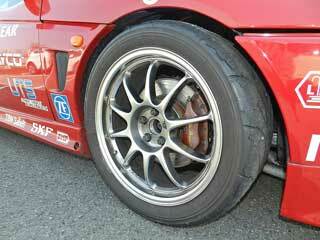 The whole suspension is lowered by a few centimetres and fitted with ‘slick’ or ‘rain’ Michelin racing tyres. 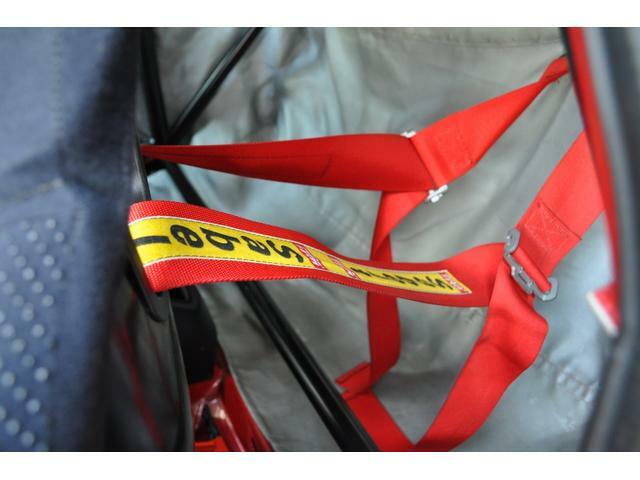 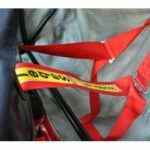 In spite of the safety measures, the weight has been reduced by another 200 kilos. 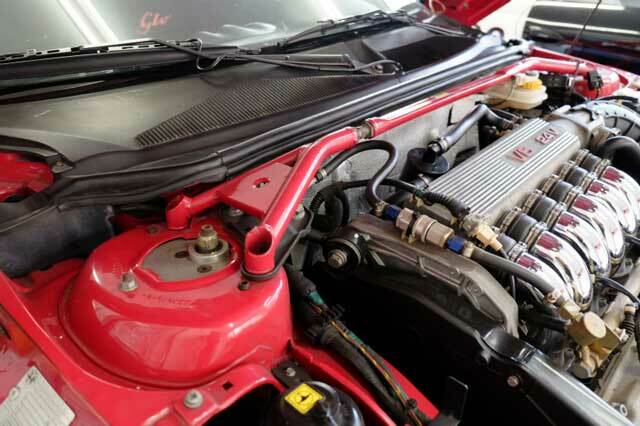 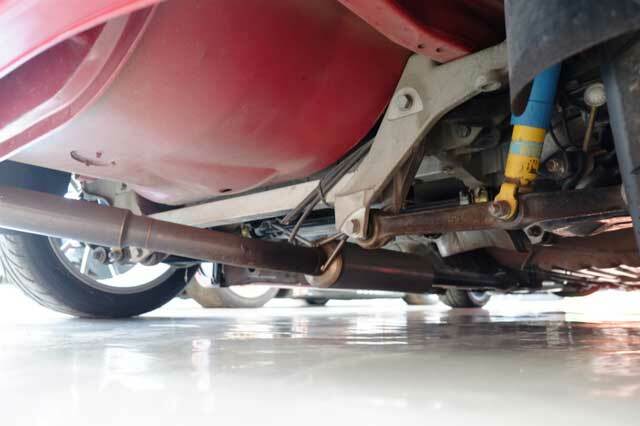 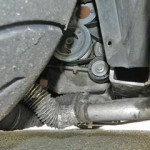 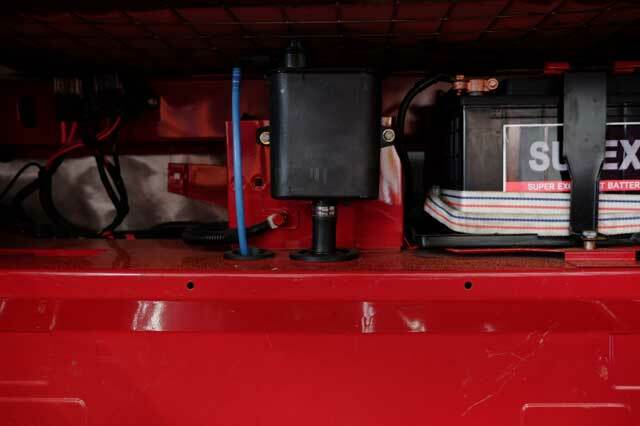 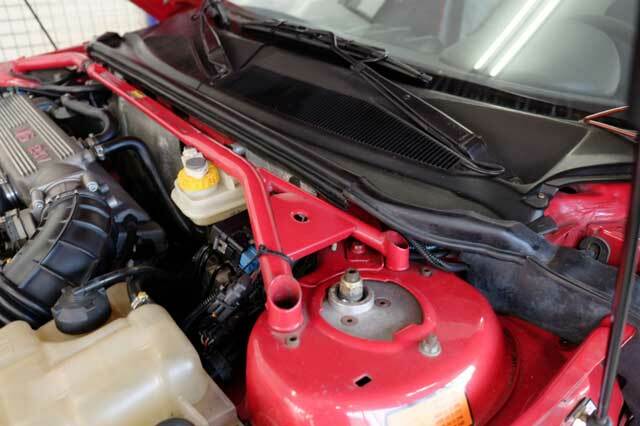 The mechanics remain the same as the commercial series, but with different regulations in the electronic chip and suspension, to gain a little more horsepower and better transfer them onto the road. 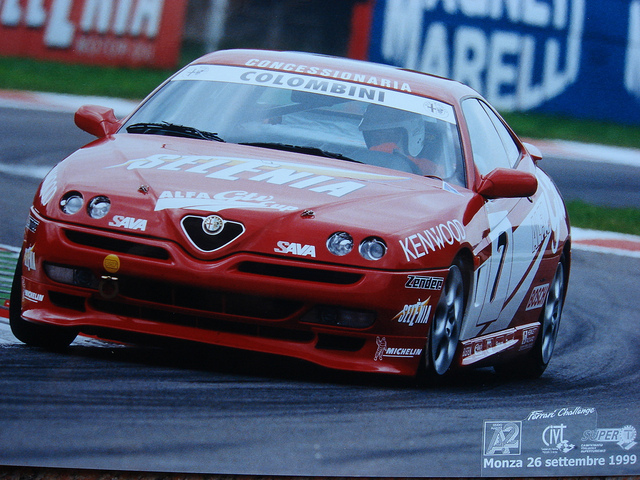 The circuit at Varano, with a few slow corners and two fast ‘S’ bends, is the ideal track to find ones feet with a car of character: a 230 horsepower is considerably powerful because of its front traction. 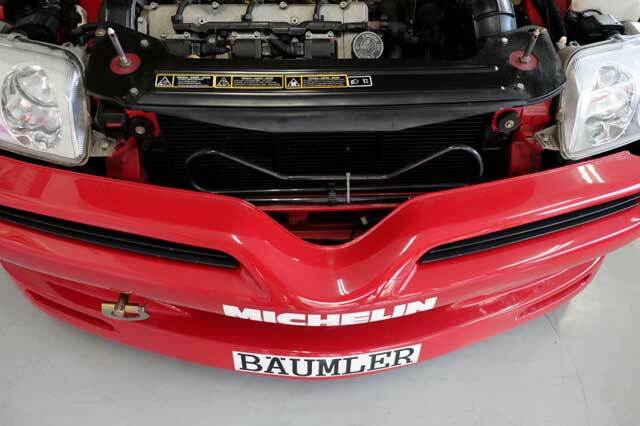 The exuberating torque of six cylinders and the weight distribution on the front wheels need to be driven in a particular way, almost like rear traction. 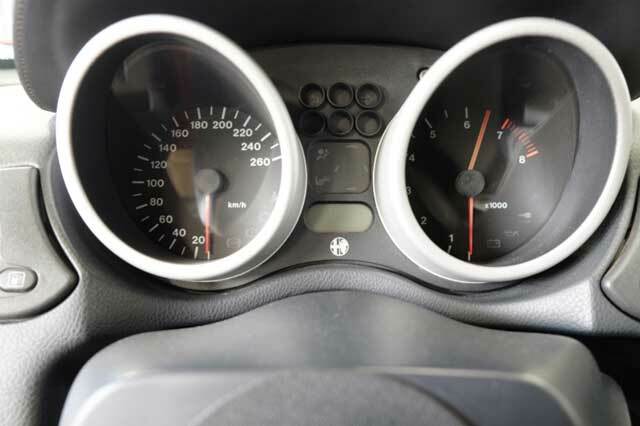 We would recommend sacrificing a little speed when approaching a bend in order to create a clean curve when accelerating which will occupy the width of the track when coming out of the bend. 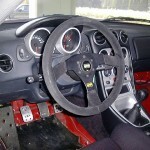 To insist with the steering and go into a bend too tight is not productive. 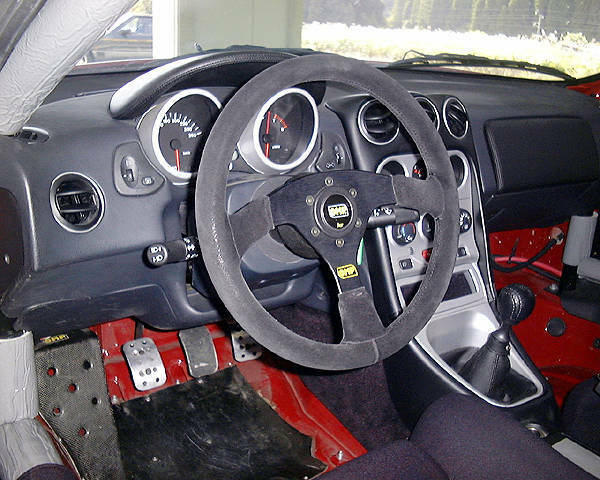 With the accelerator it is easy to under-steer which will damage the tyres and will, inevitably, take the car off track at a tangent. 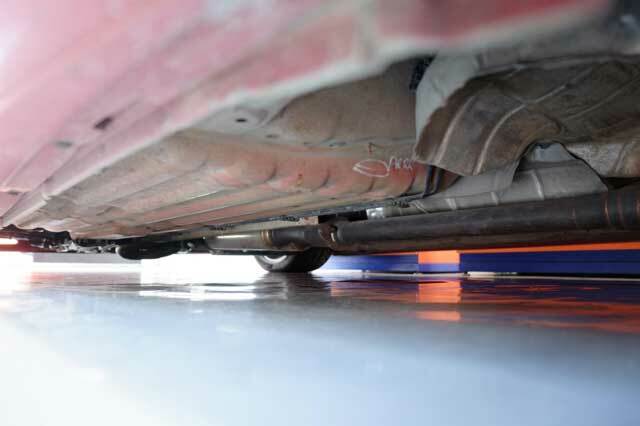 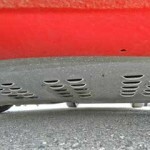 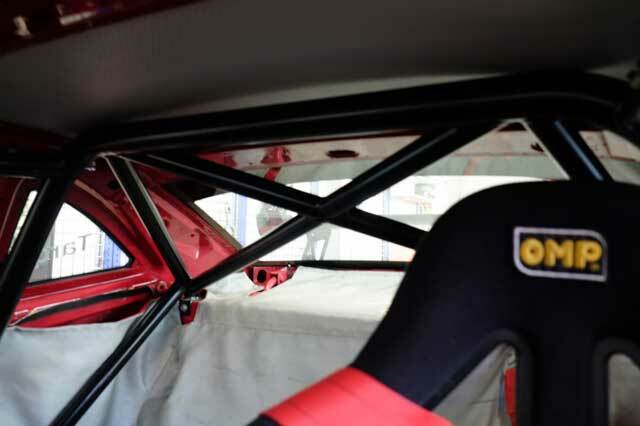 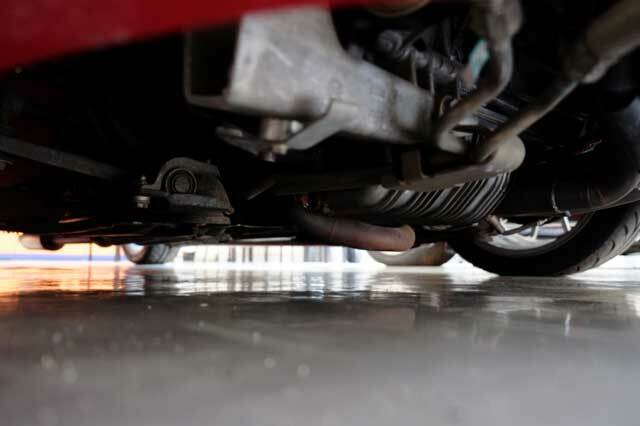 The suspension has to be rigid in order to improve traction and girders decidedly become trampolines, where every bump can easily take you off course. 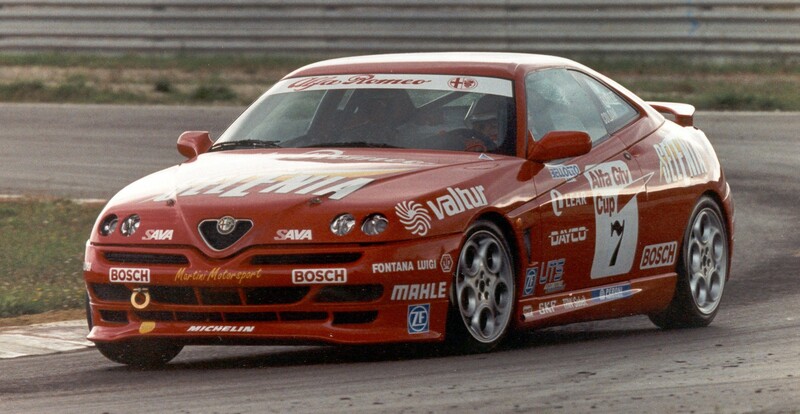 The suspension still requires perfecting (the GTV in trials was a prototype) but what counts in a mono- makers’ challenge is that all the vehicles are the same, to bring to light the ability of their best drivers. 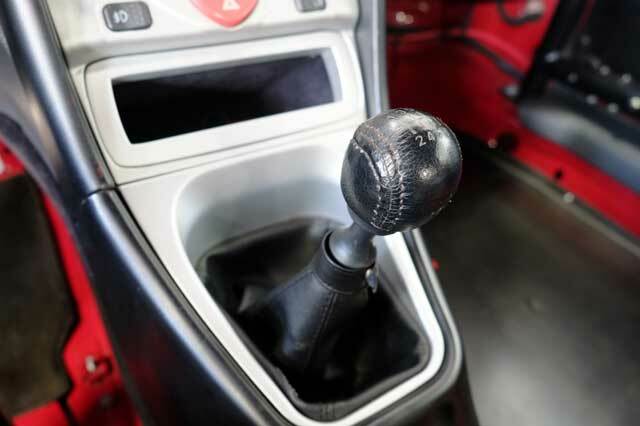 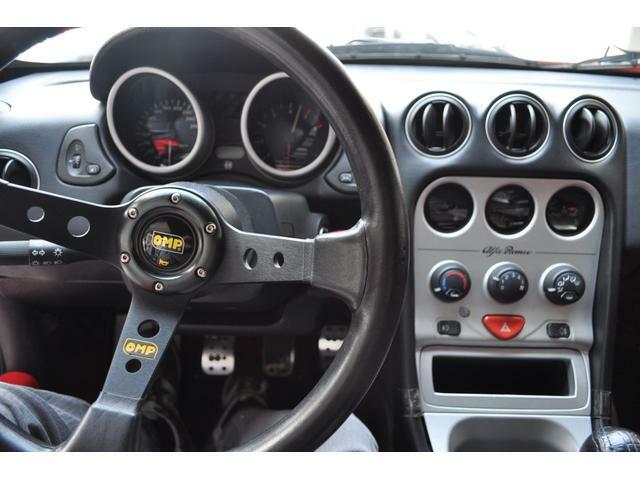 There are six gears, as in the commercial vehicle, and have a long ratio, therefore, not really apt for the Varano track where fifth gear is rarely used but, appropriate for circuits like Monza and Mugello where 260 km/h max speed is easily accessible for the GTV. 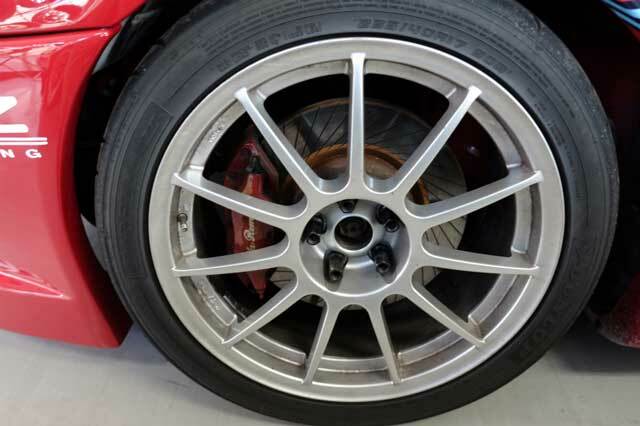 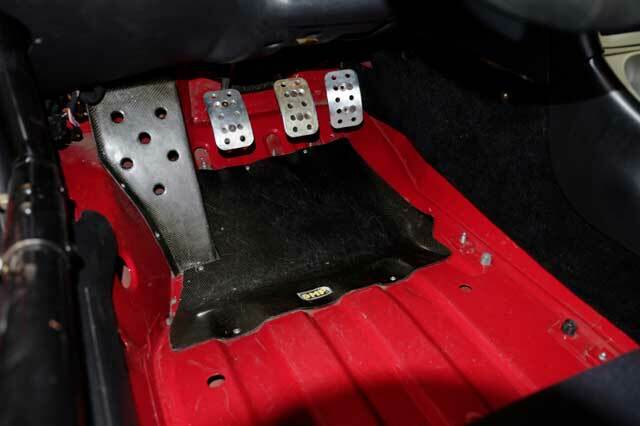 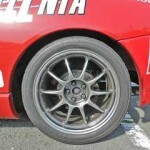 The powerful brakes, however, need a little consideration so as not too over-use them; the pads aren’t especially designed for racing, therefore, their correct use will greatly determine the outcome of the race regarding lap times. 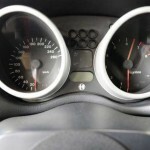 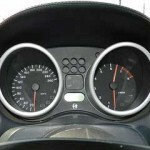 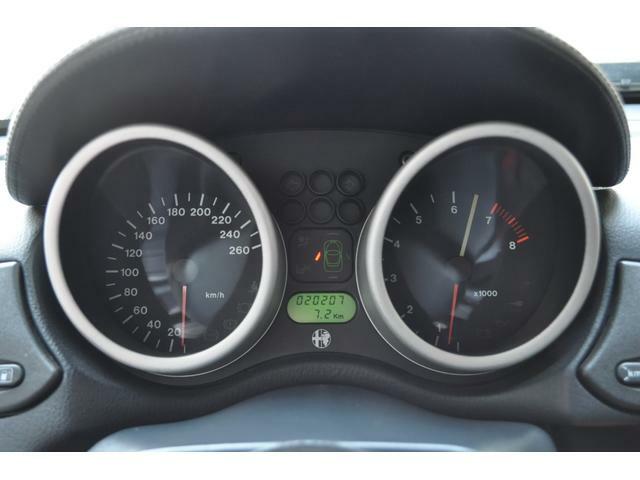 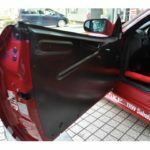 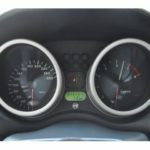 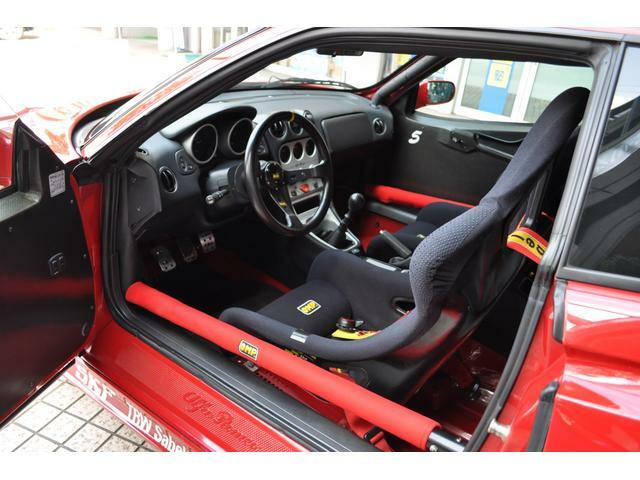 Consequently, a very agreeable and professional car, not too difficult to drive but demanding if you want to beat the stopwatch. 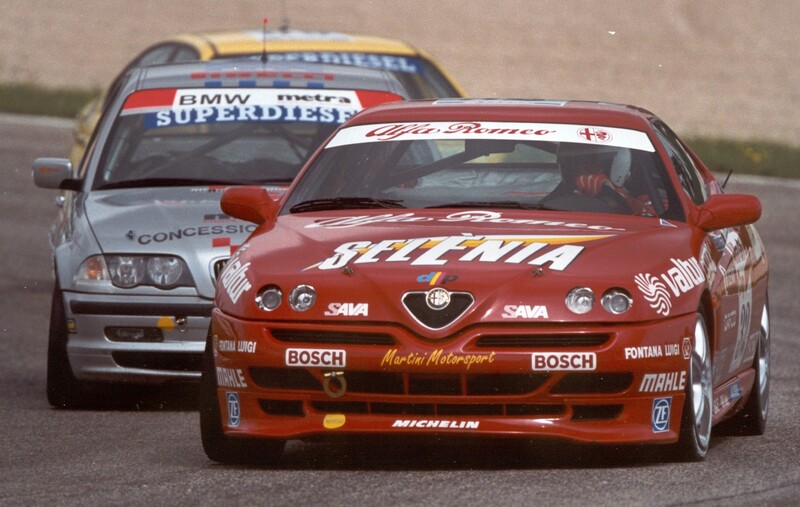 In order to participate in one of the ten races during the “Alfa GTV Cup” calendar you must go to an Alfa Romeo dealer (220 in Italy) and fill out a form. 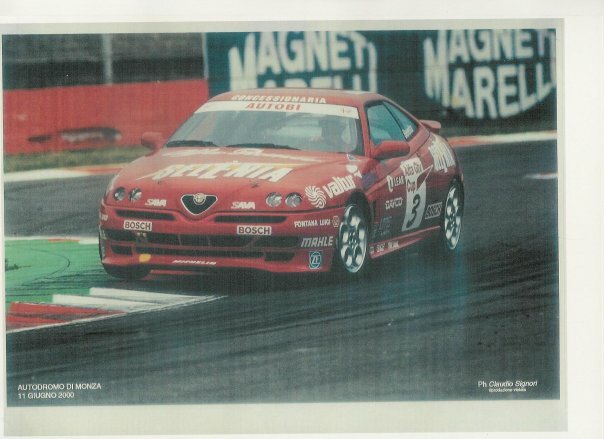 If you come in the 160 chosen drivers (16 different drivers for each of the ten races in the programme), you will have to pay 6,000 lire subscription fee which comprises: participation in sports’ car driving course with Andrea De Adamich (at the Varano de’Melegari racing track, near Parma), a C.S.A.I. 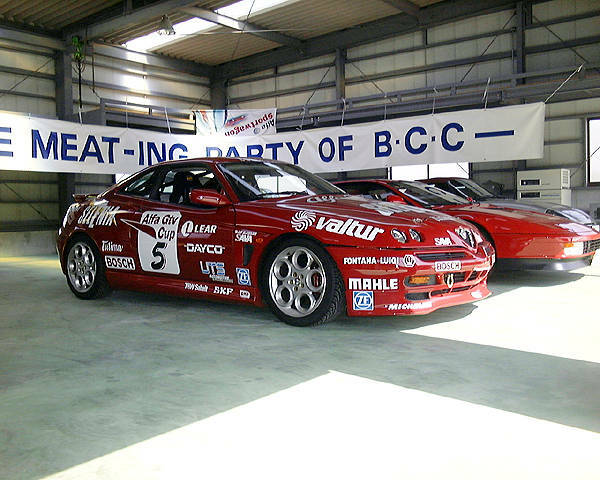 driving license, fire-proof racing gear (overalls, helmet, gloves and shoes) and complete hospitality for the whole duration of the event. 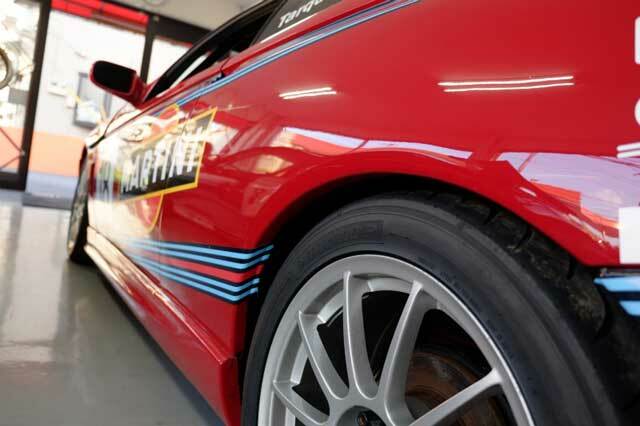 Included in this quota are all the expenses for the vehicles (tyres, petrol and general wear & tear), for free trials, for qualification laps and the final race on the Sunday. 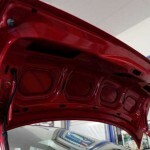 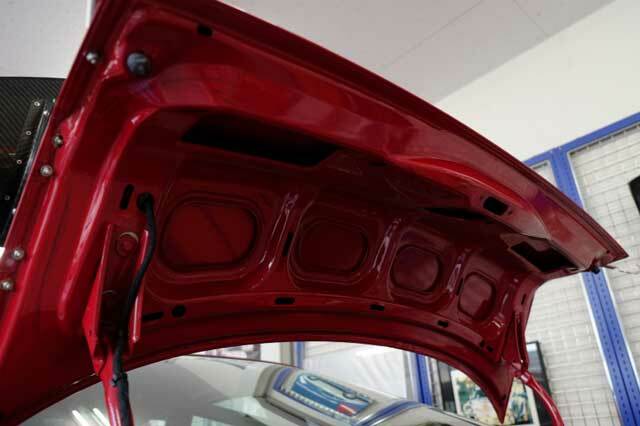 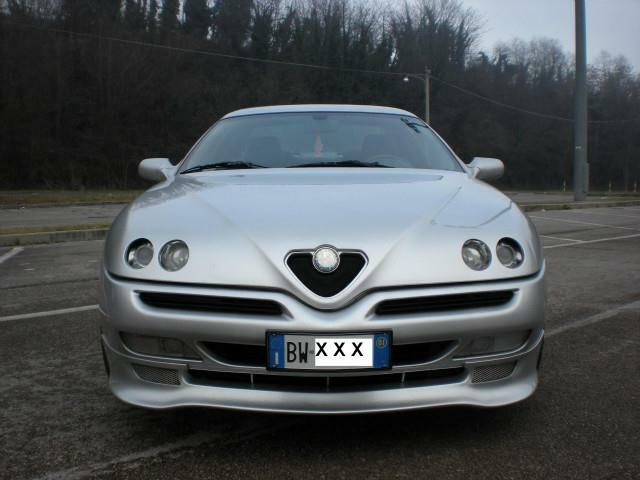 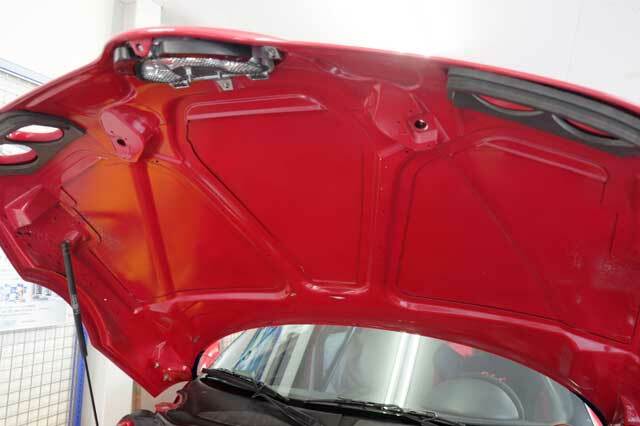 The body of the GTV maintains its already sporty showroom appearance. 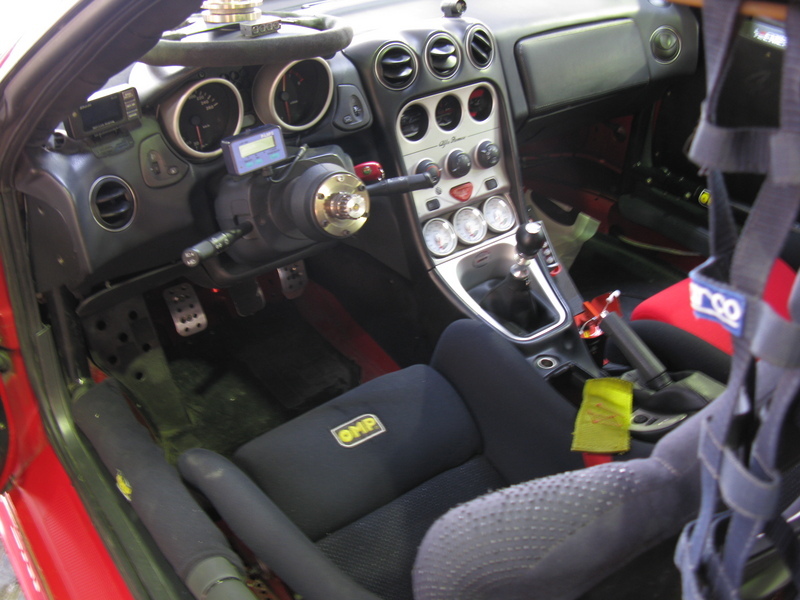 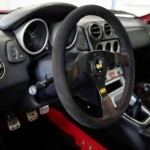 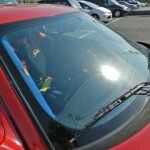 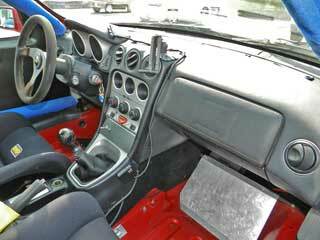 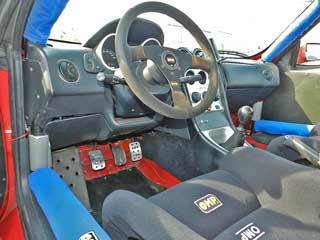 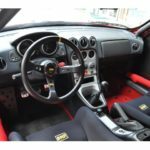 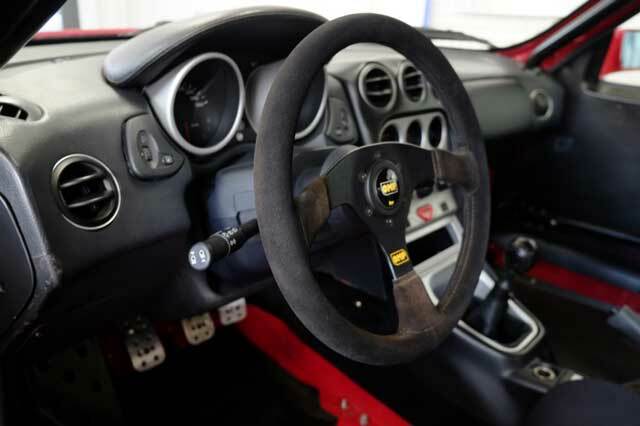 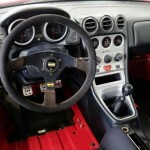 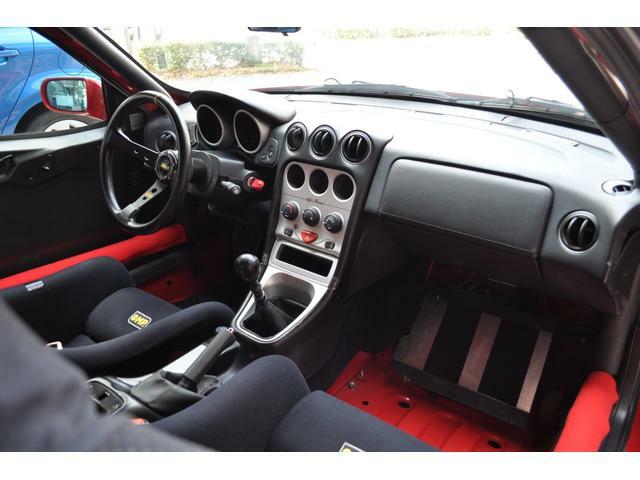 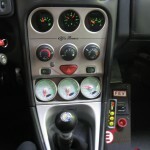 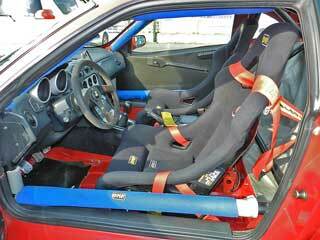 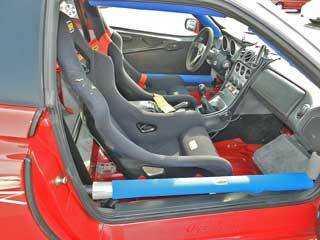 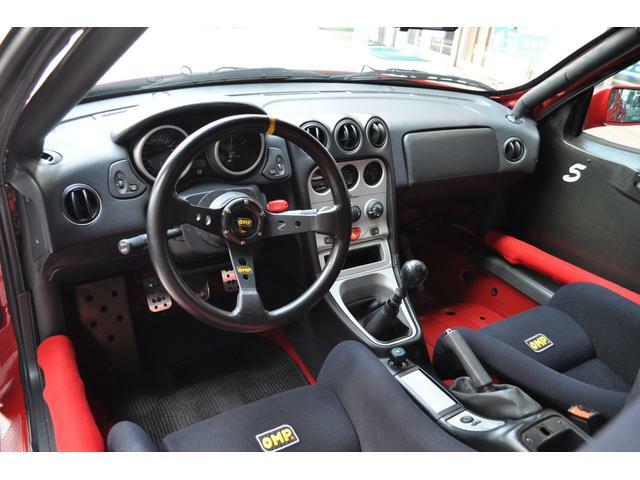 The only new “racing” additions are the steering wheel and OMP seat. 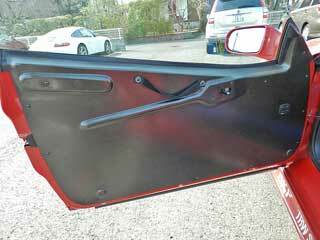 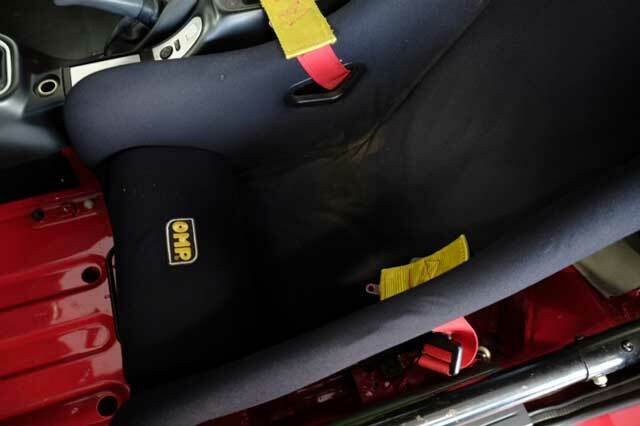 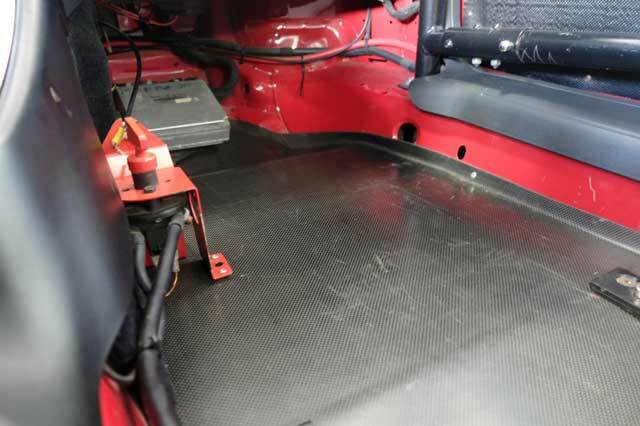 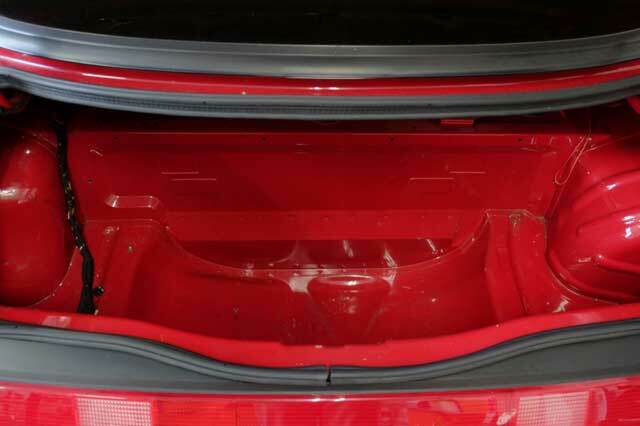 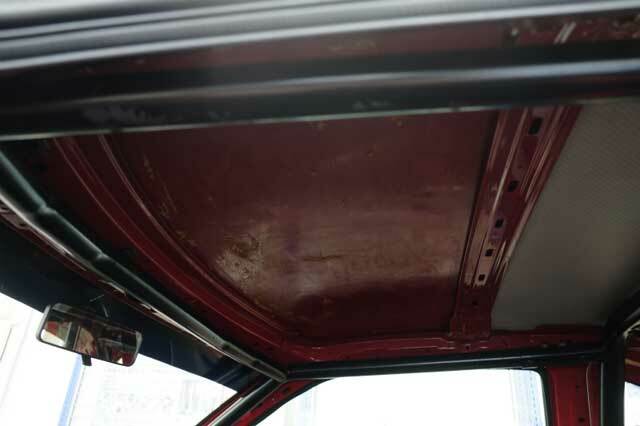 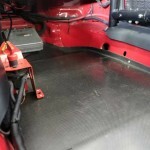 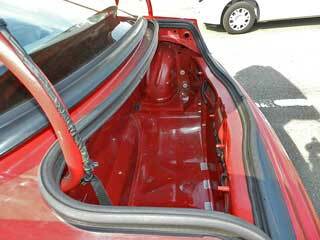 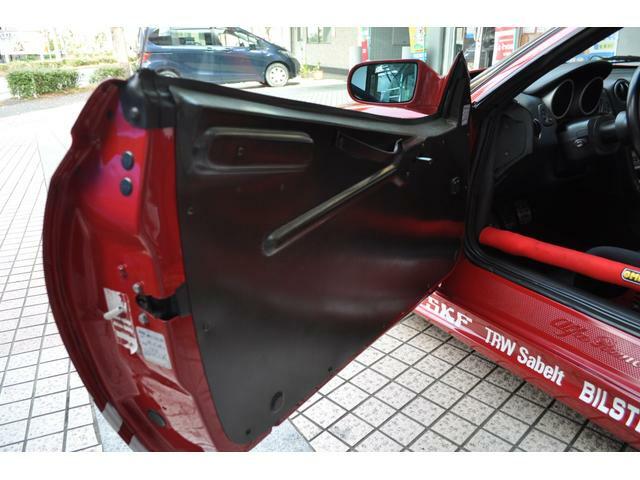 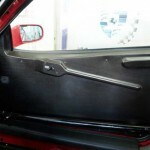 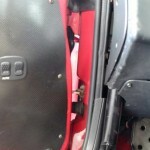 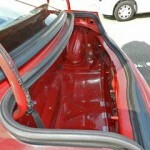 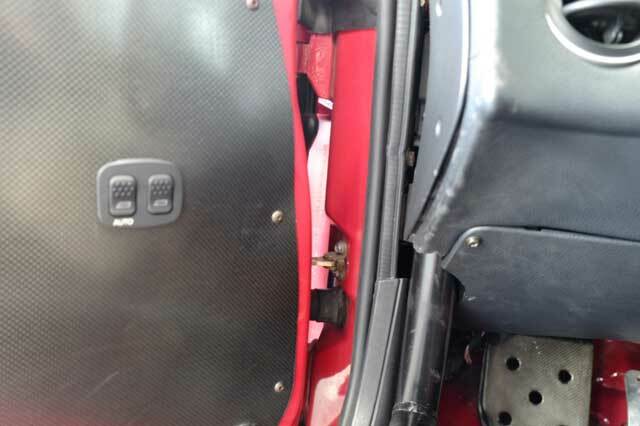 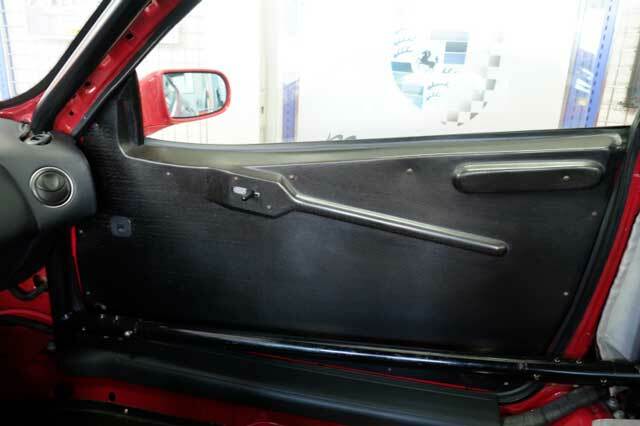 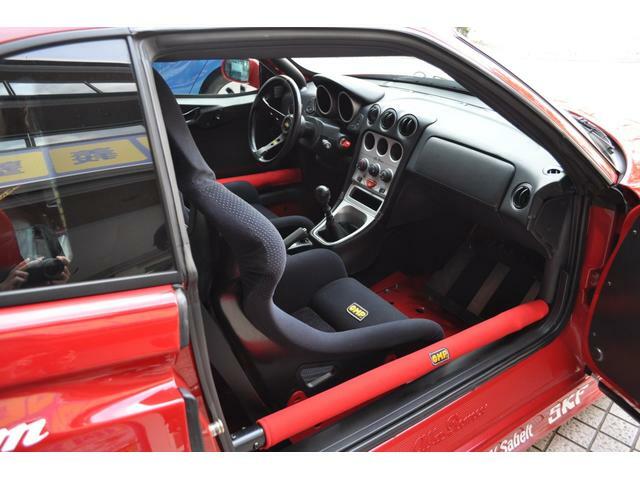 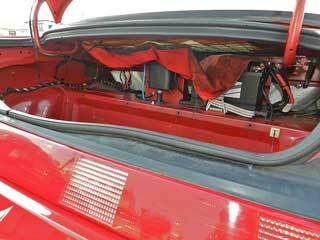 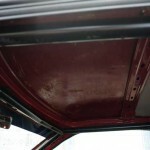 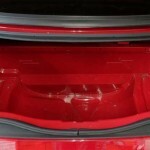 The other seats and interior trims have disappeared along with approximately 200 kilos. 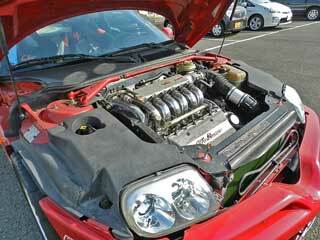 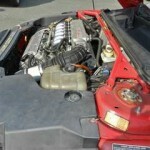 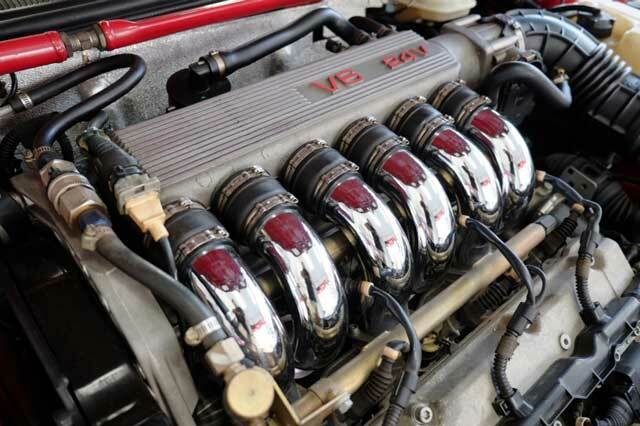 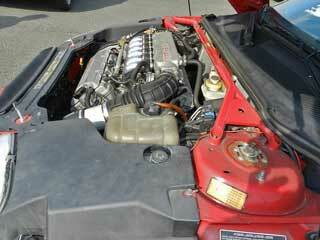 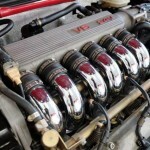 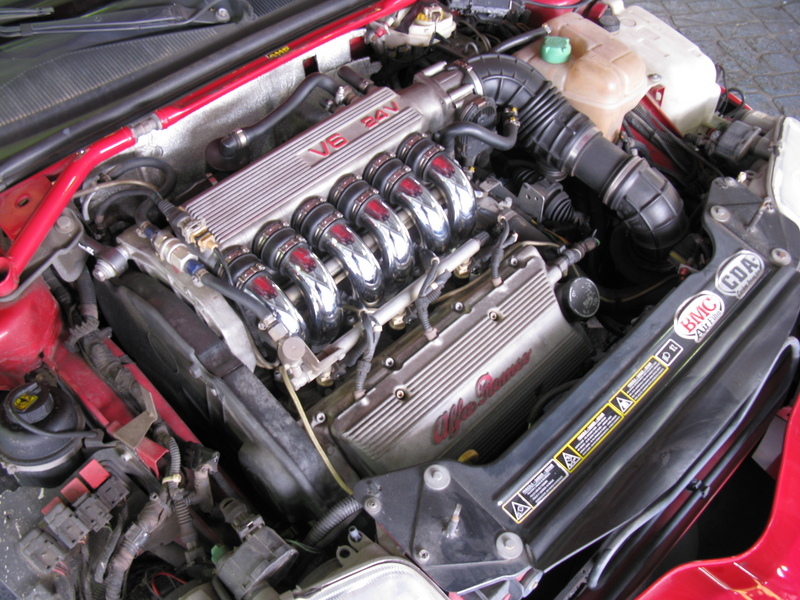 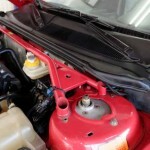 Beneath the ample bonnet stares the generous V6 24 valve. 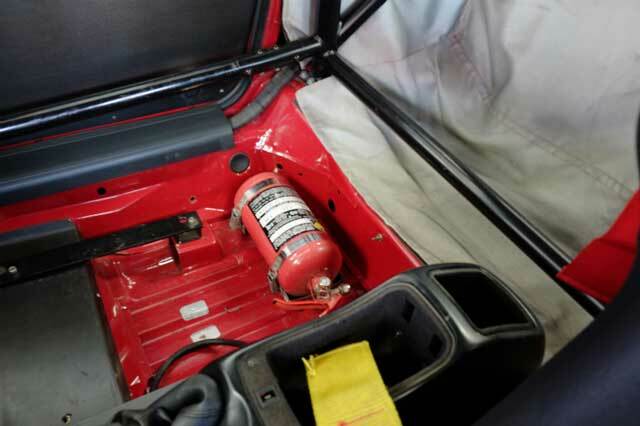 Different to the standard showroom version the fuel injection chip has been re-mapped and the exhaust no longer has lambda sensors or a catalytic converter. 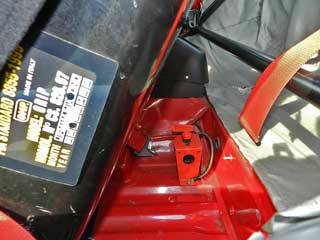 Also new is the centrally mounted engine oil cooler. 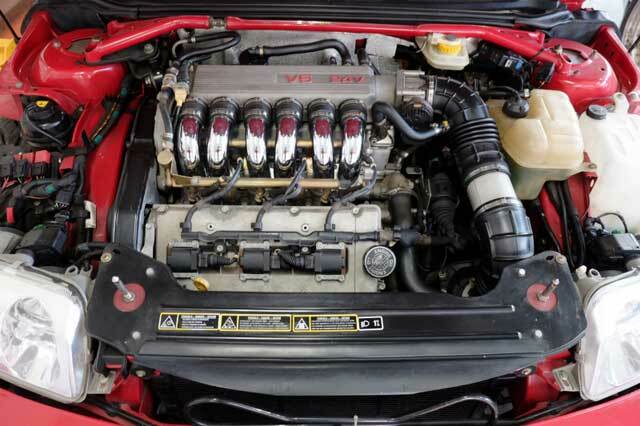 ENGINE: Front transverse, 6 cylinder 60° V, bore and stroke 93 x 72.6mm, cylinder capacity 2959cc, 230 bhp at 6900 rpm; max torque 28.5 kgm at 5300 rpm, 4 camshafts-2 per cylinder head, four valves per cylinder, electronic fuel injection. 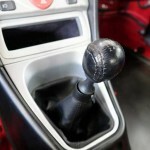 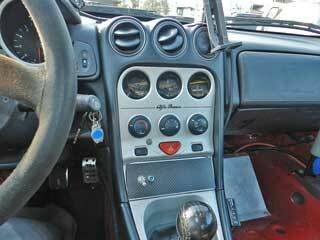 TRANSMISSION: front wheel drive, manual 6 speed gear box. 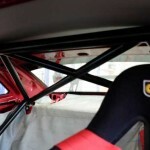 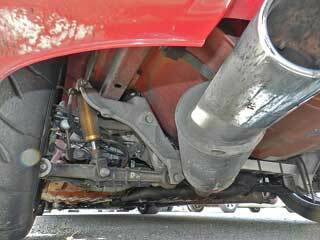 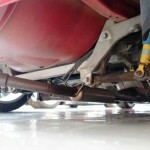 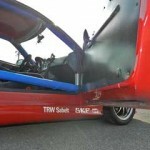 CHASSIS: independent front and rear suspension. 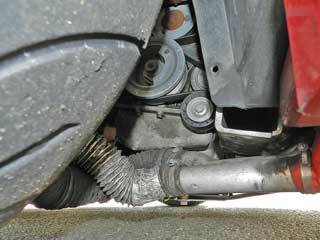 Front; McPherson struts with helicoil springs and anti-roll bar. 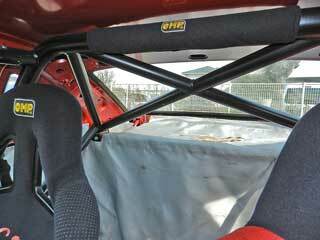 Rear; multi link with helicoil springs, telescopic shock absorbers and anti-roll bar. 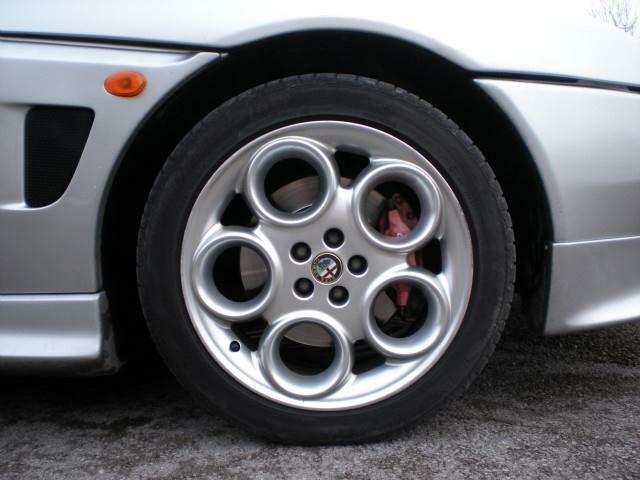 BRAKES: discs all round (front vented) with ABS. 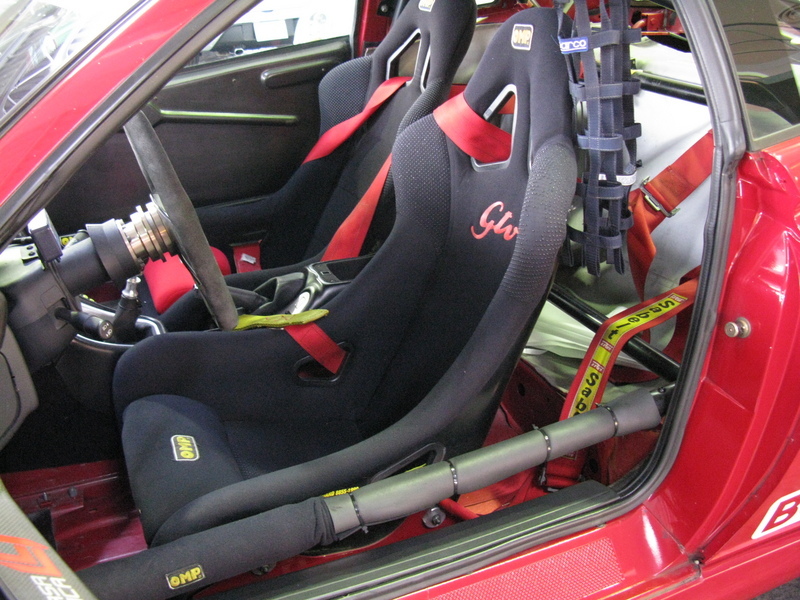 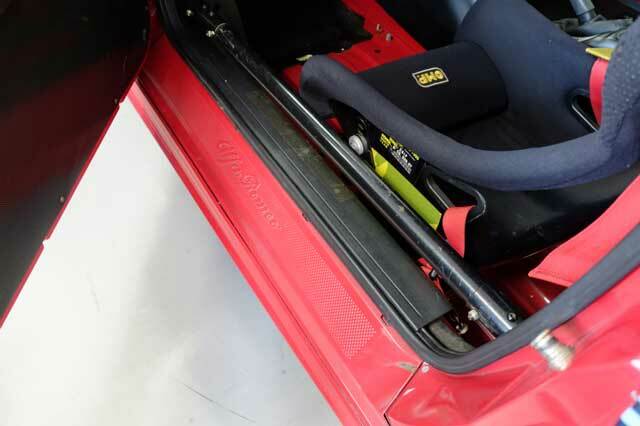 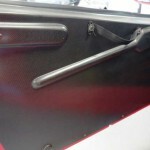 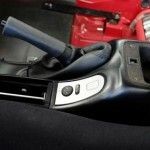 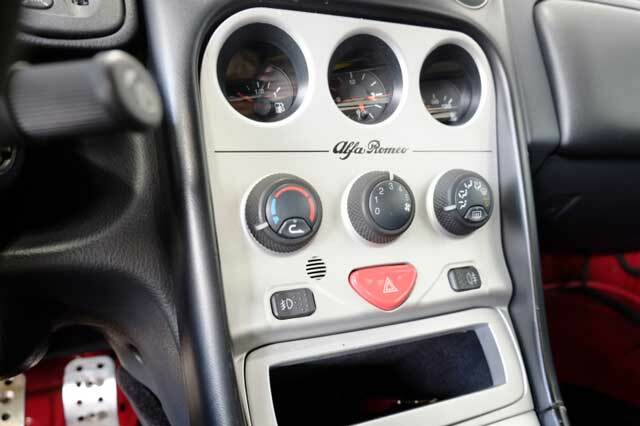 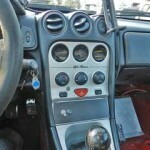 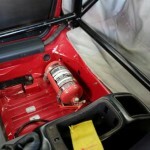 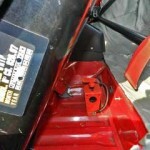 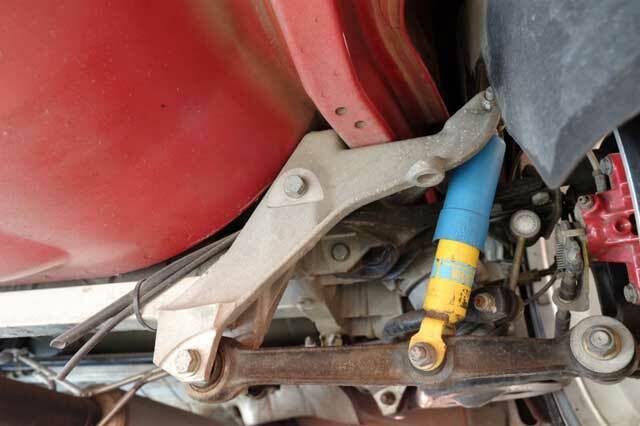 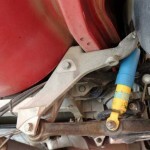 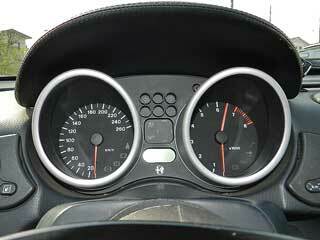 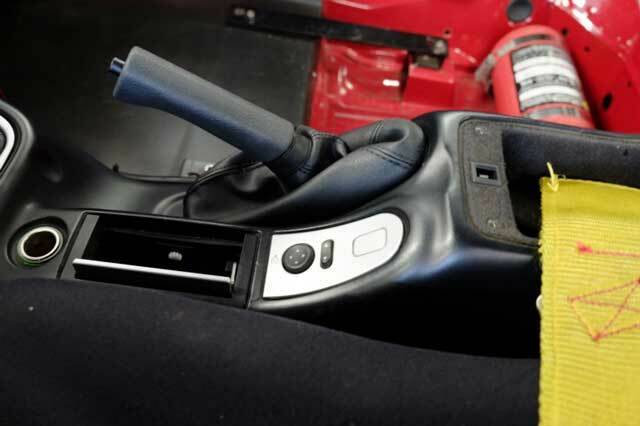 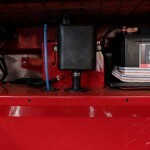 STEERING: rack with hydraulic power steering. 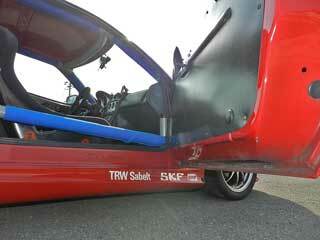 DIMENSIONS: wheelbase 2.54m, length 4.29m, width 1.78m, height 1.27m. 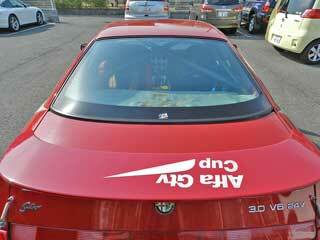 Special thanks to Clive for translation. 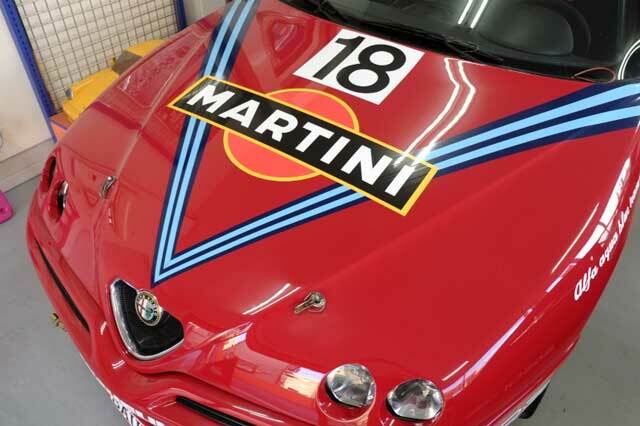 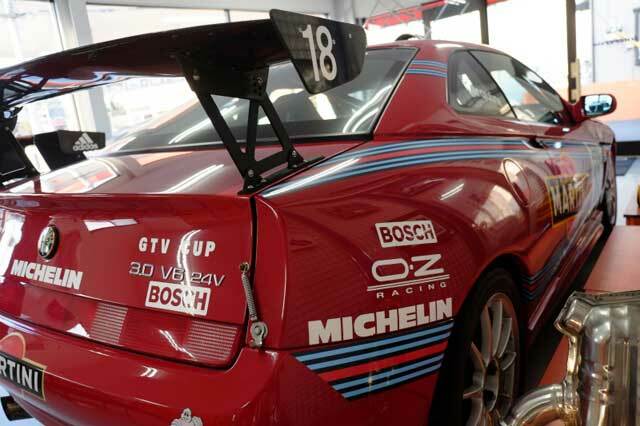 The race series inspired a limited edition GTV Cup. 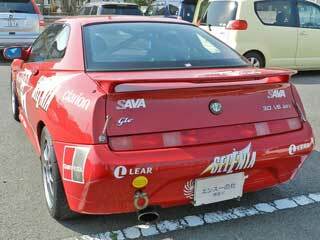 Made in 419 units. 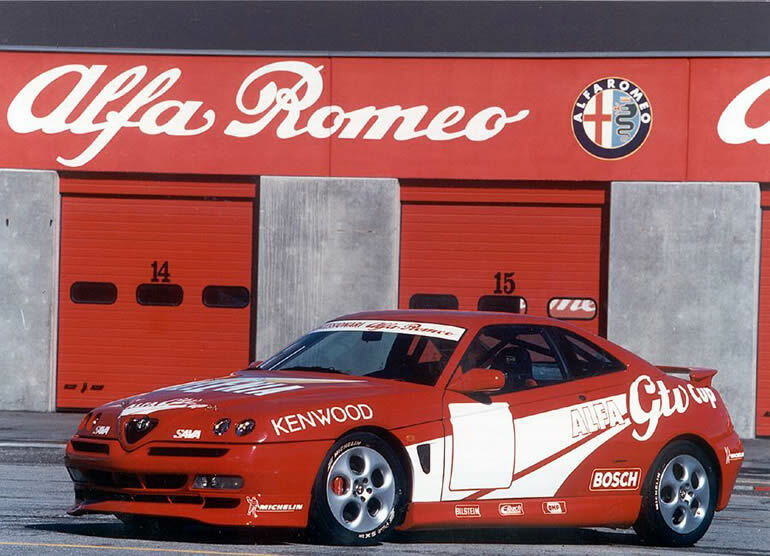 The GTV Cup is a limited edition based on the 3.0 V6 version of the Alfa Romeo GTV, inspired by a one-model Alfa GTV Cup race series. 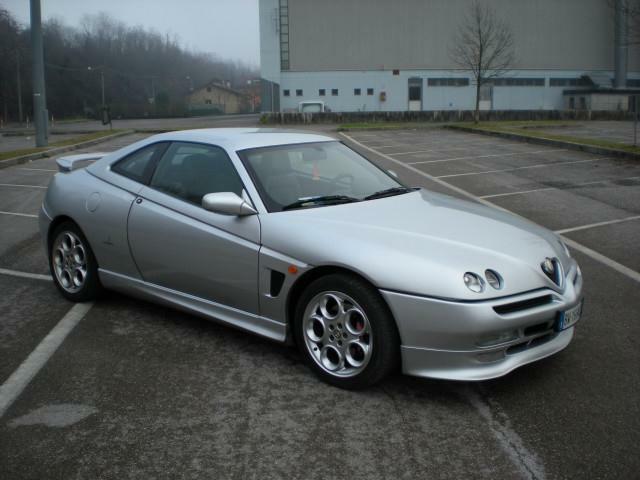 It is a genuinely limited edition of only 419 cars, produced exclusively in 2001. 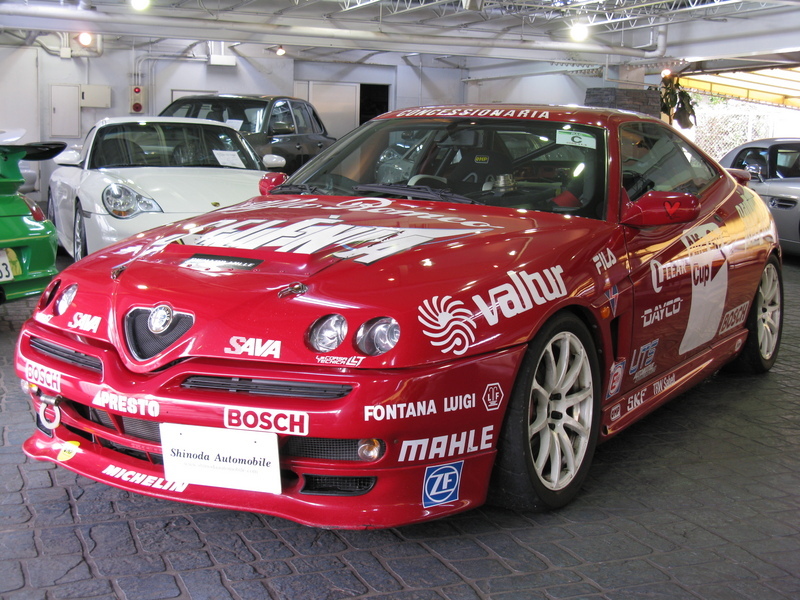 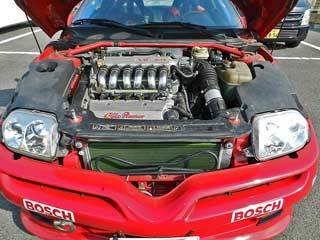 There were 180 3.0 V6 24V GTV Cups, out of which 155 RHD versions and 239 cars with 150 PS (110 kW; 148 hp) 2.0 TS were available in LHD only. 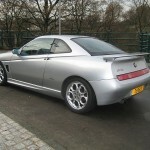 3.0 V6 cars were only in red while 2.0 TS cars were mostly silver with few examples in red. 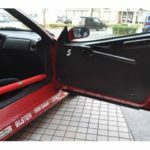 Limited edition plaques, that were made of silver, differed for the RHD and LHD versions, having red and black texts accordingly. 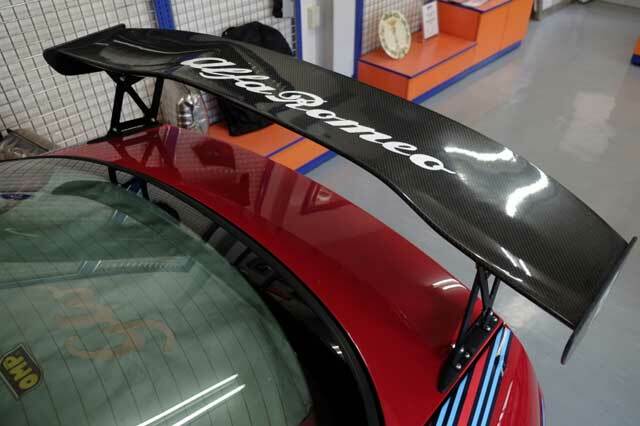 Differences between standard car and the Cup version are factory standard rear spoiler, front spoiler, side skirts, wheel arch side vents and titanium-like finish 17-inch ‘telephone dial’ alloys; mechanically it’s the same as the regular 218 PS (160 kW; 215 hp) V6. 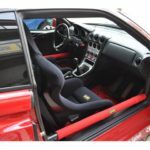 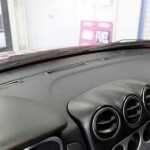 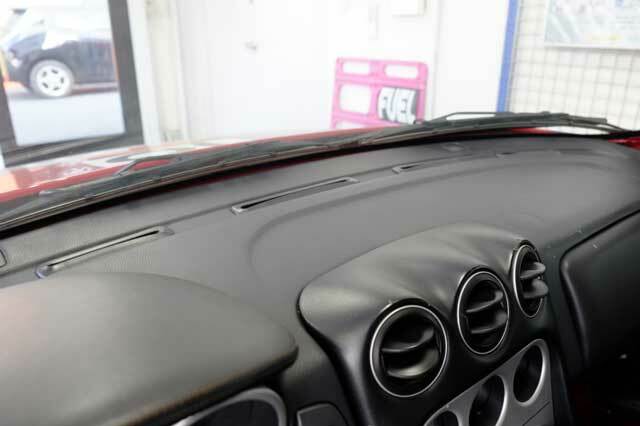 Also the interior is different from standard model with leather-fabric upholstery (’398 White Black Leather Fabric’). 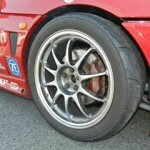 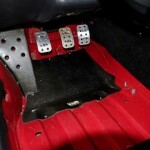 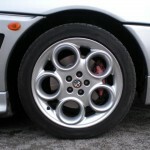 2.0 TS GTV Cups have 4-pot Brembo callipers as have 3.0 V6 GTVs. 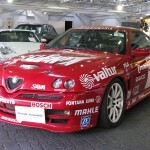 Both LHD and RHD versions were numbered seperately from 1st. 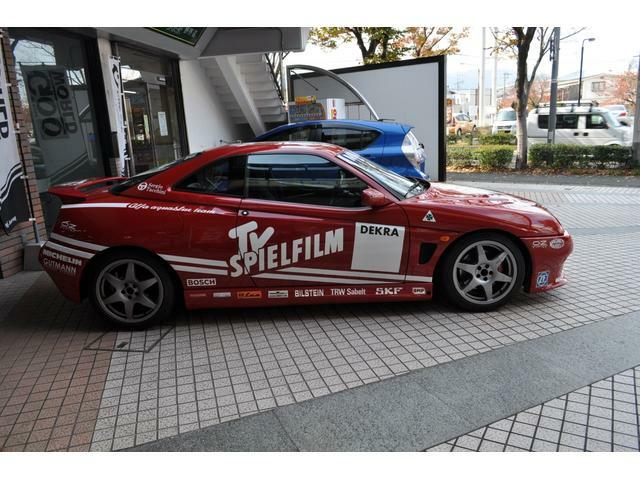 It’s the second most numerous edition. 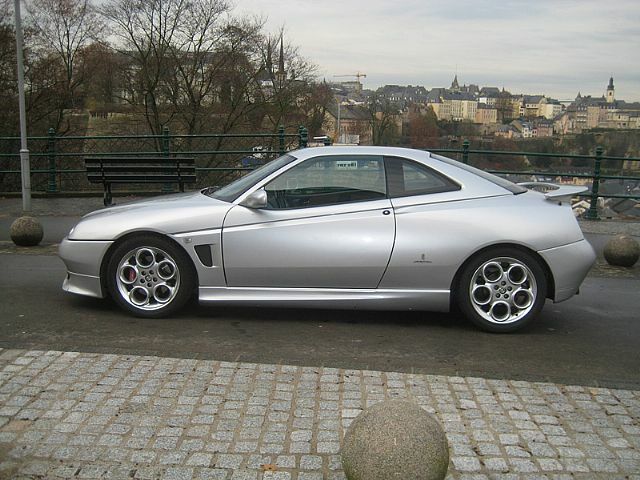 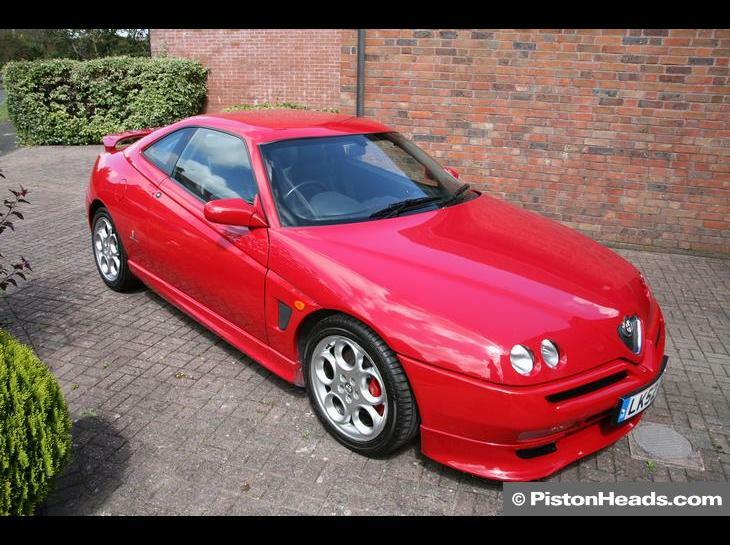 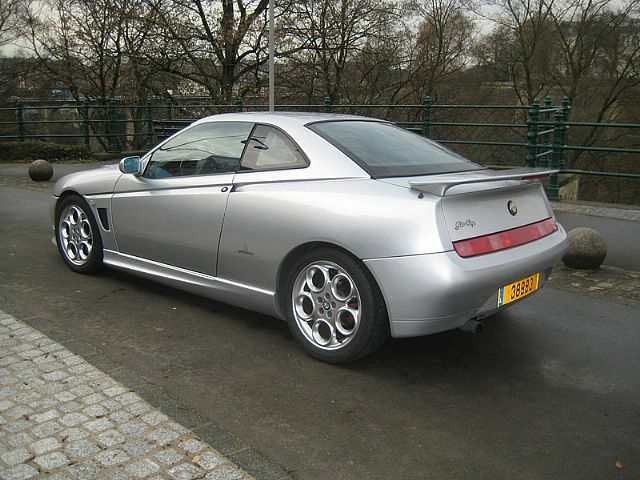 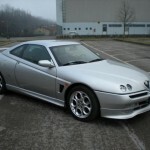 There is a common rumour that the 155 RHD V6 Cups are a homage to Alfa 155 V6 TI, this is not the case in my opinion as the rest of the GTV/Spider limited editions numbers are very random.